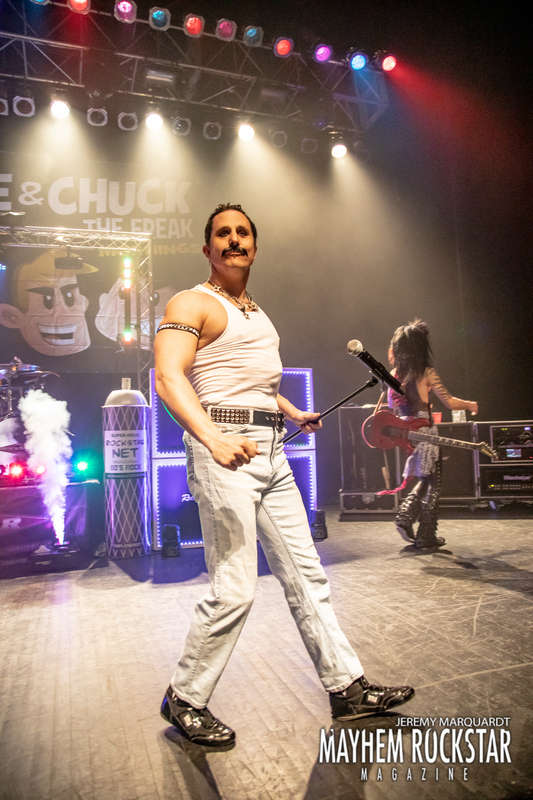 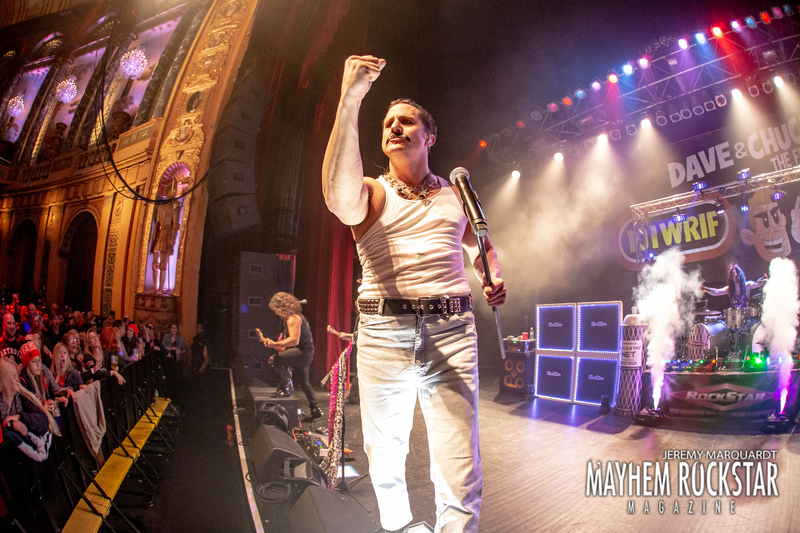 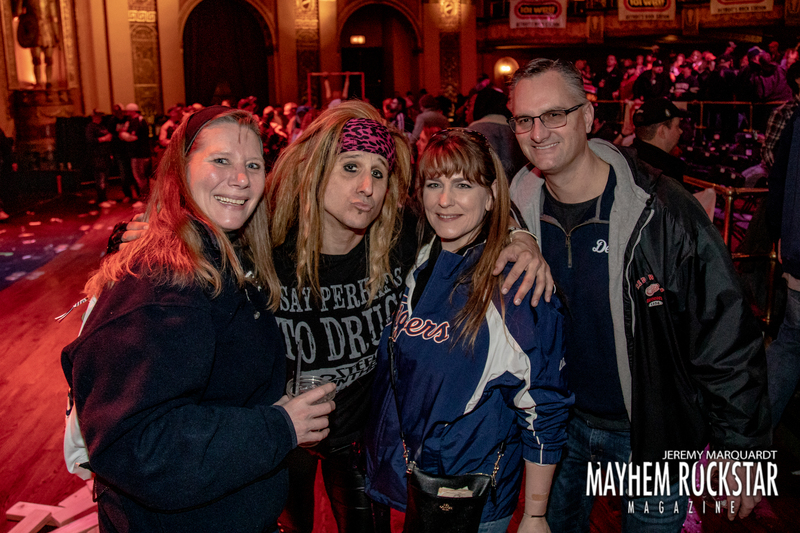 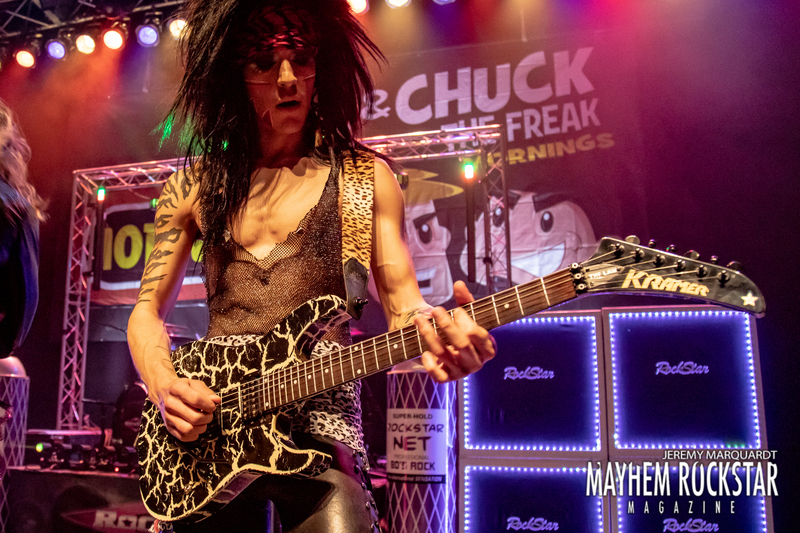 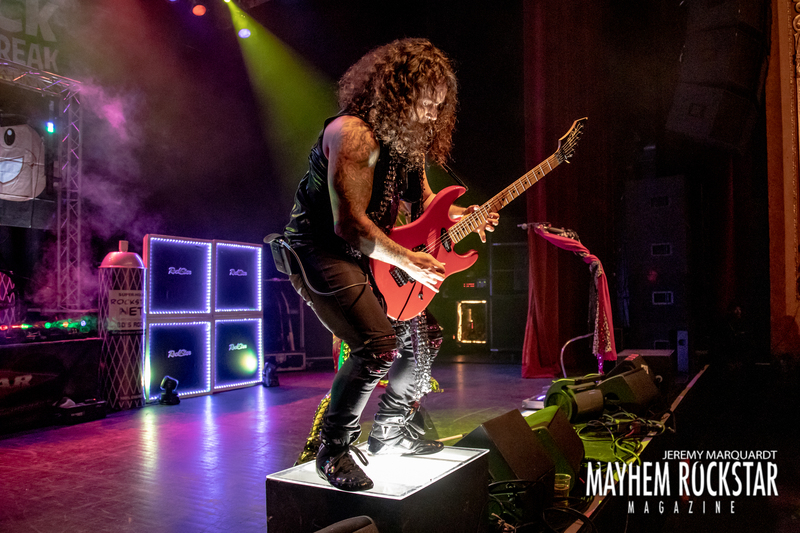 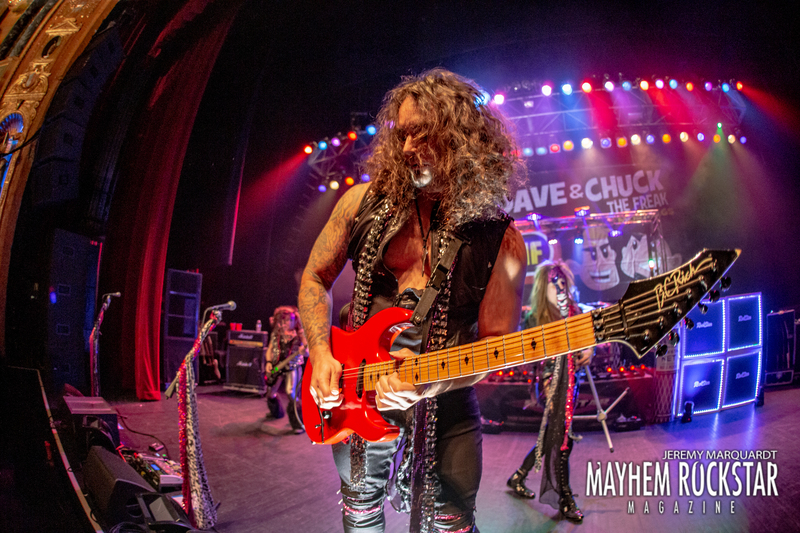 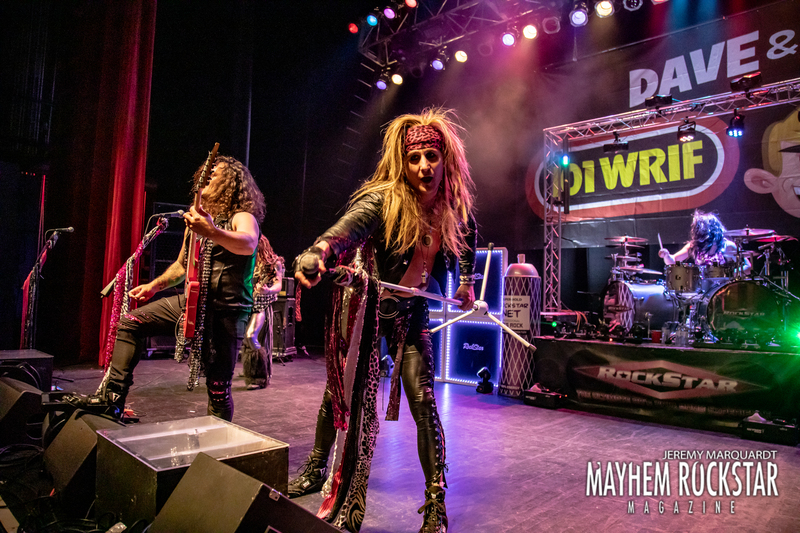 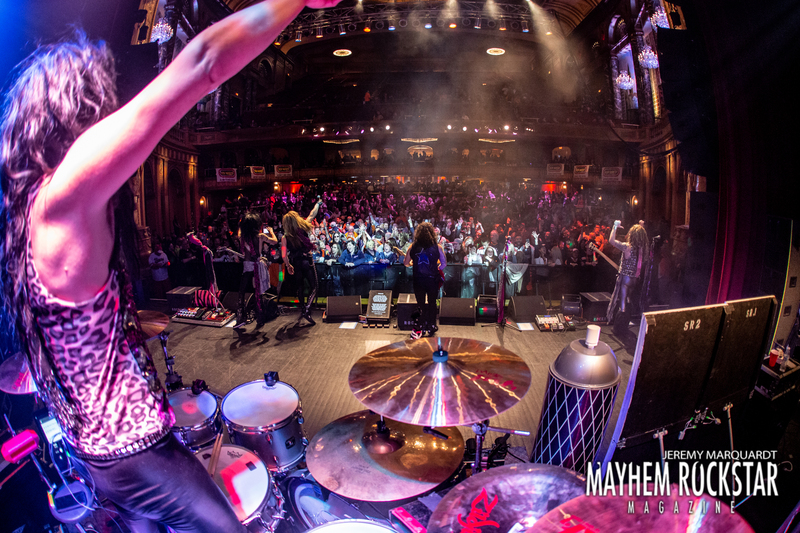 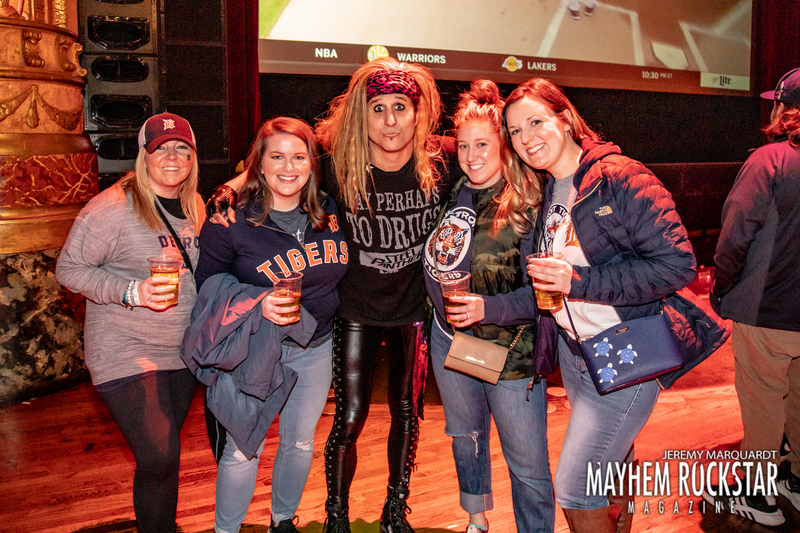 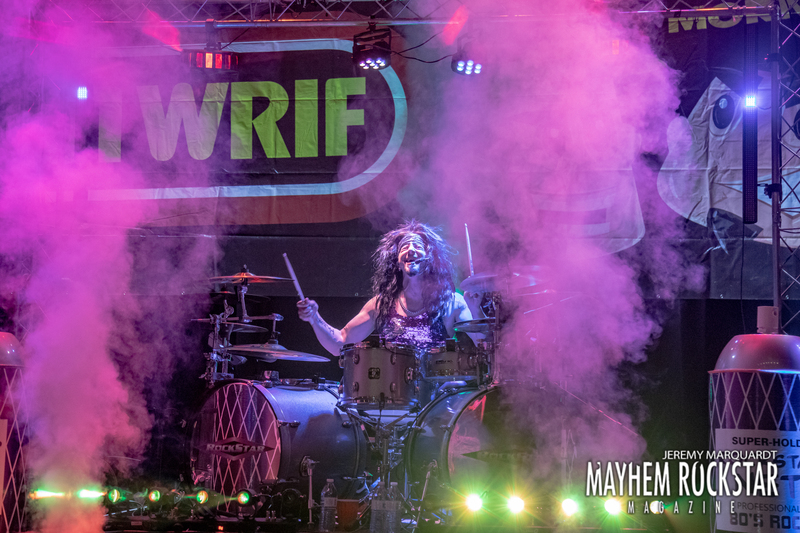 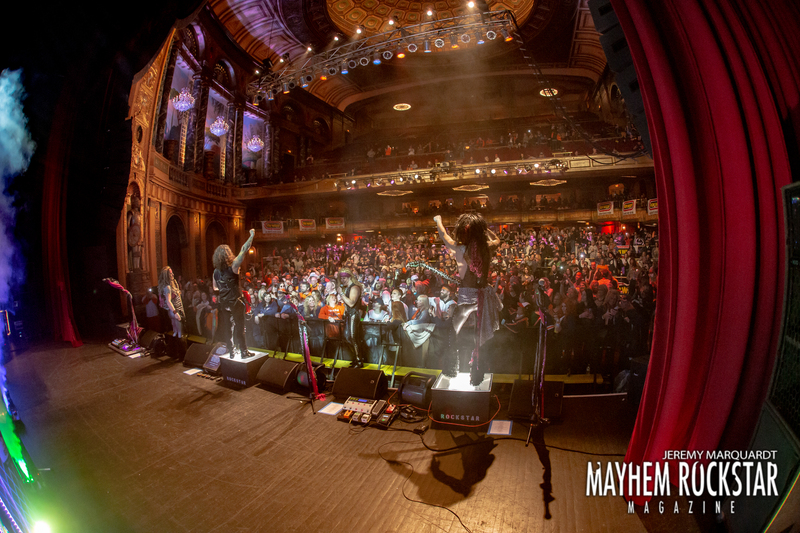 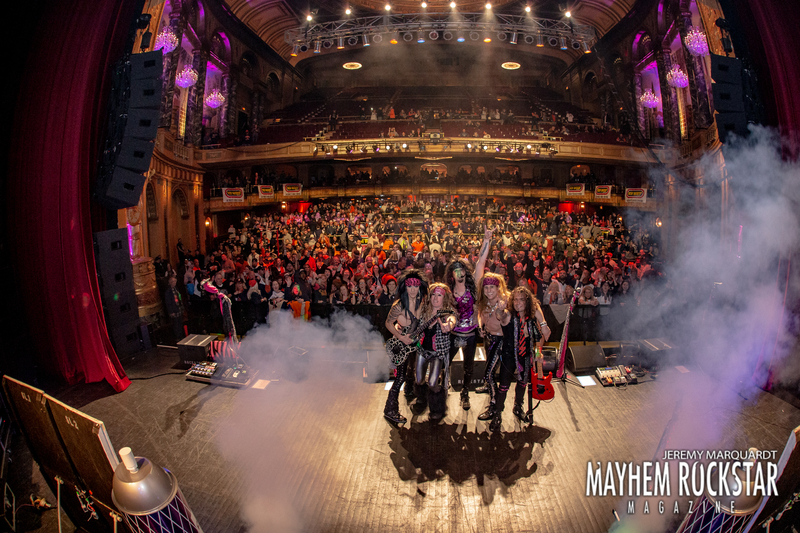 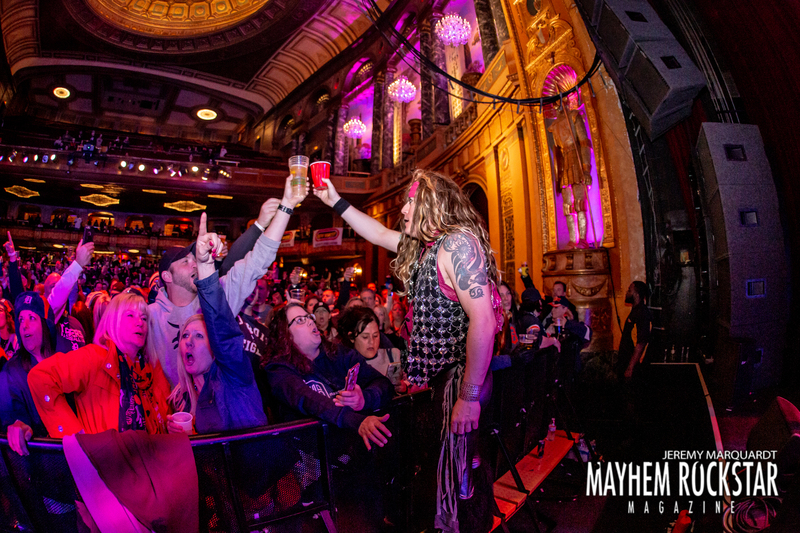 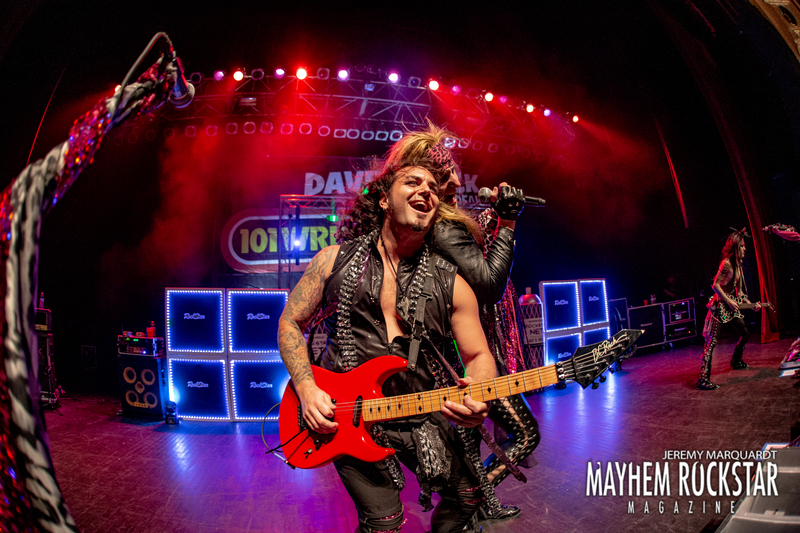 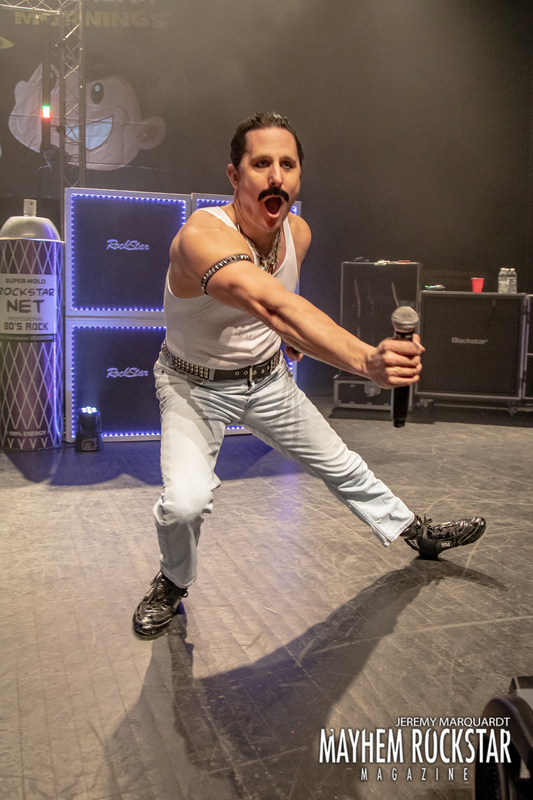 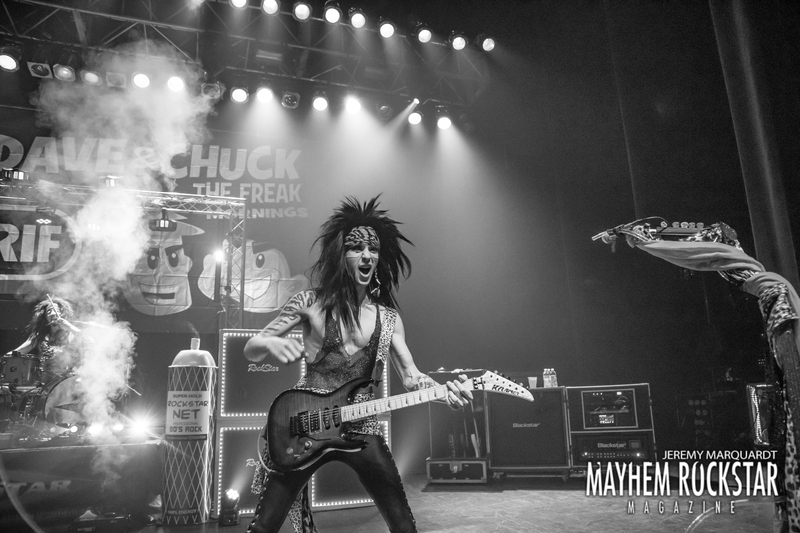 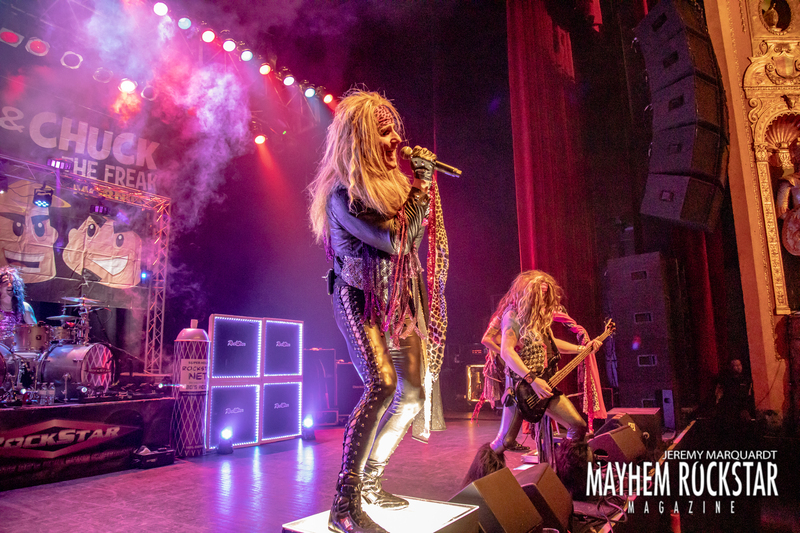 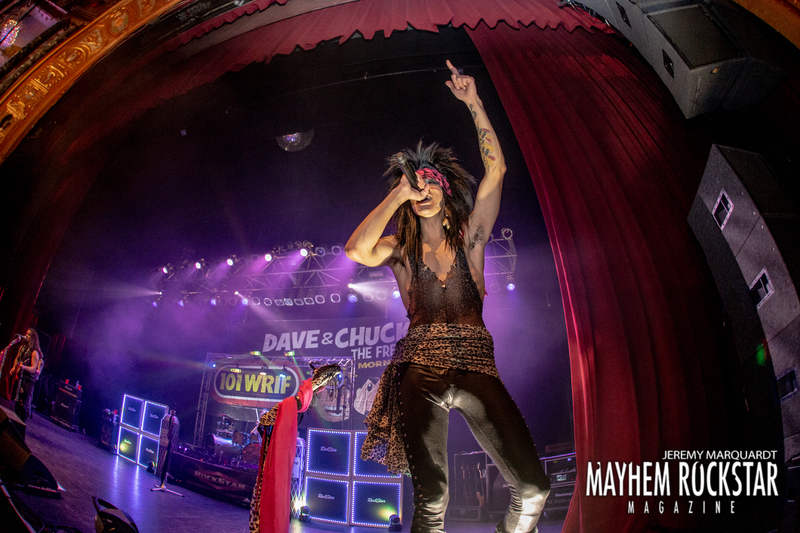 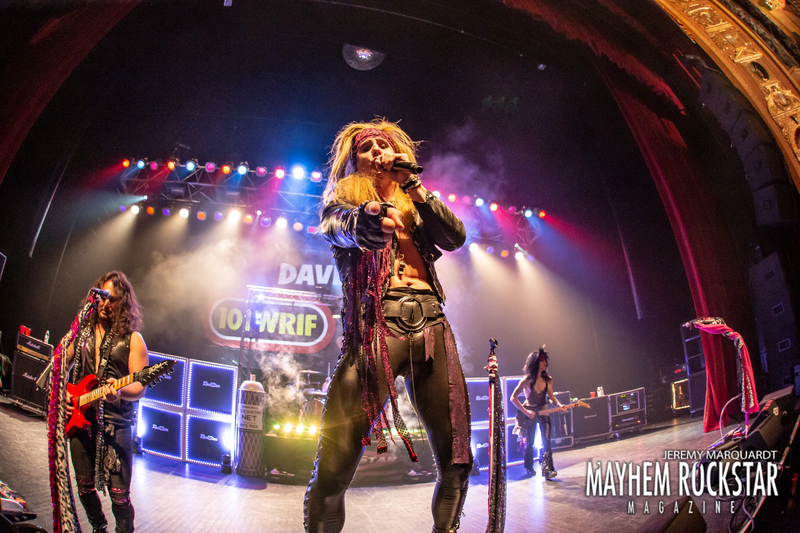 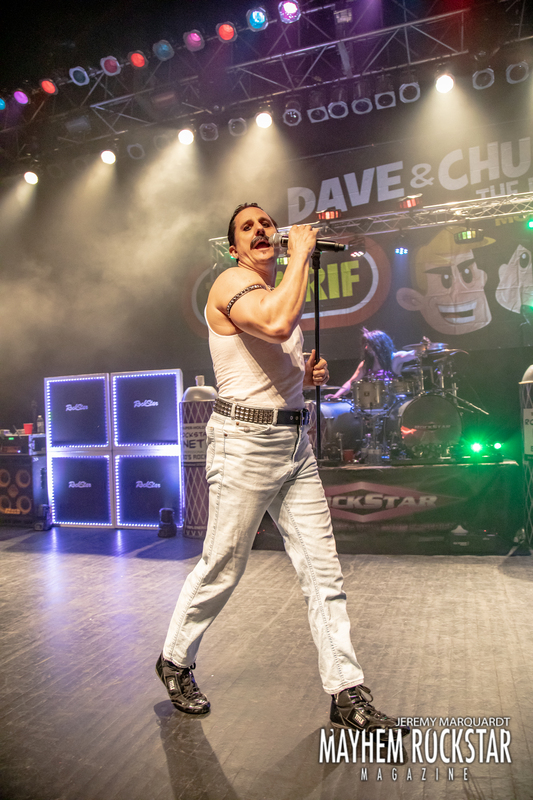 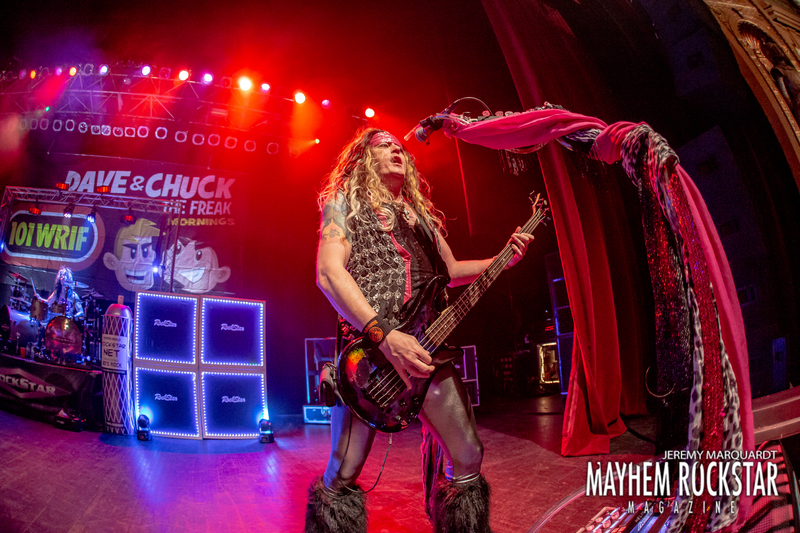 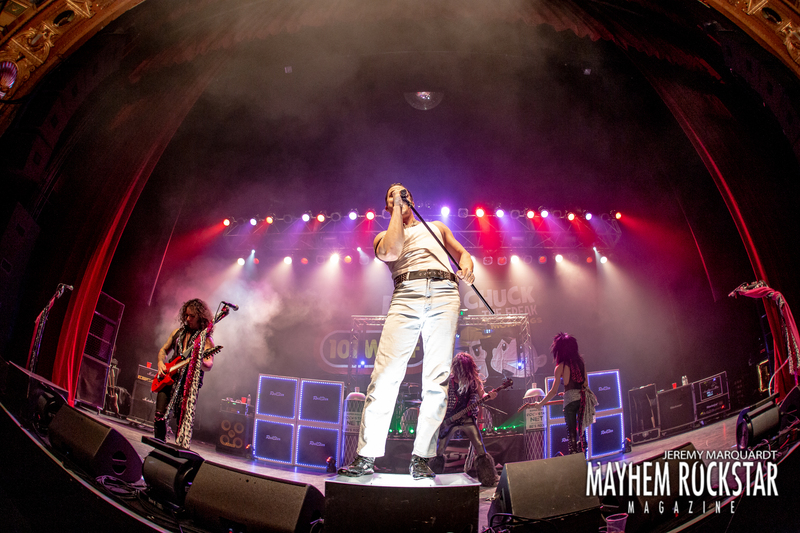 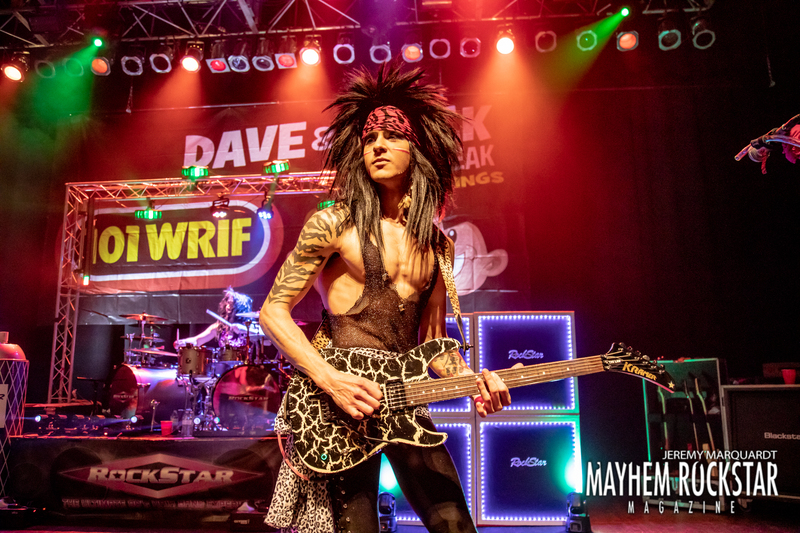 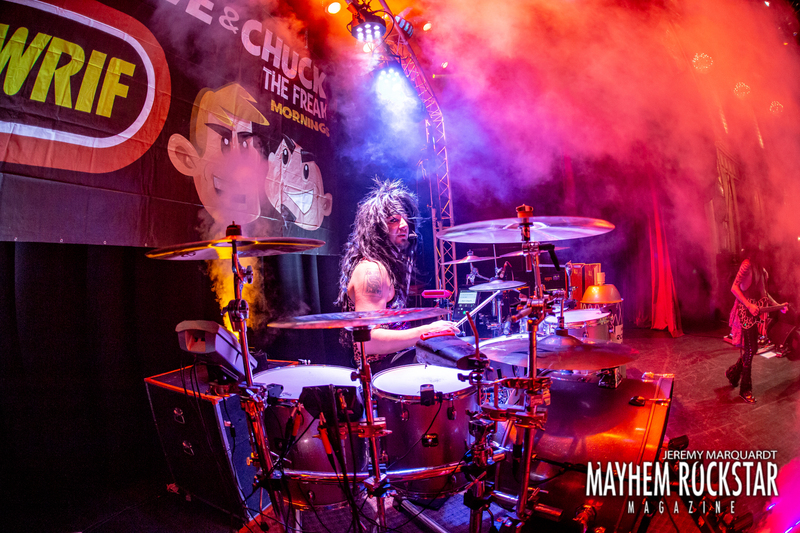 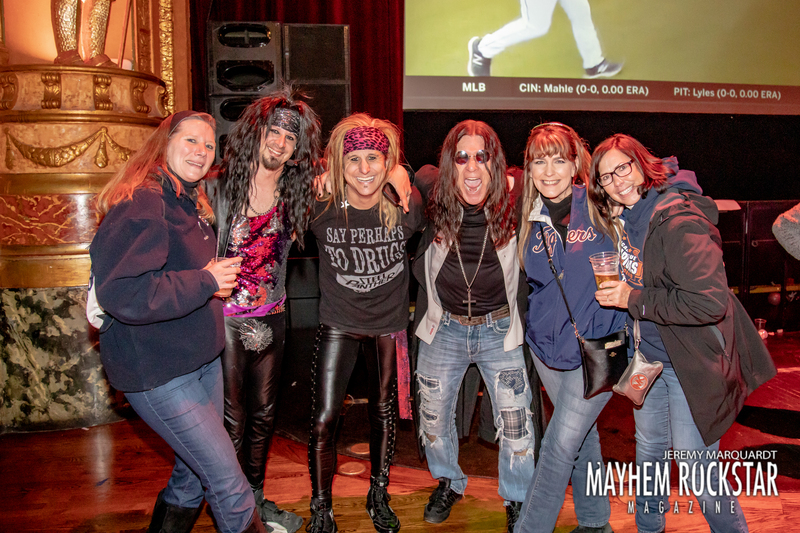 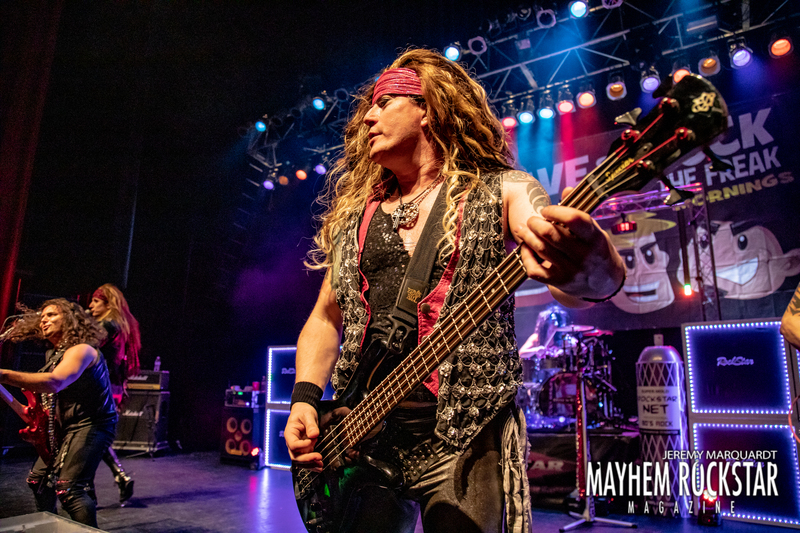 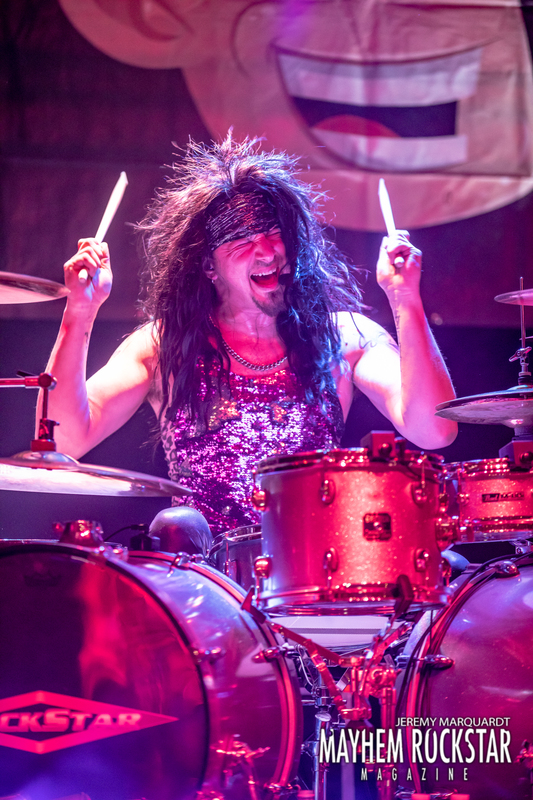 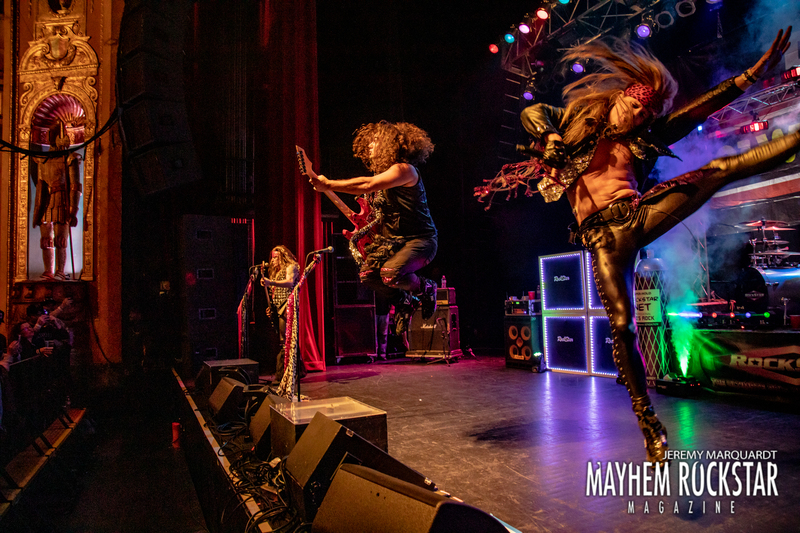 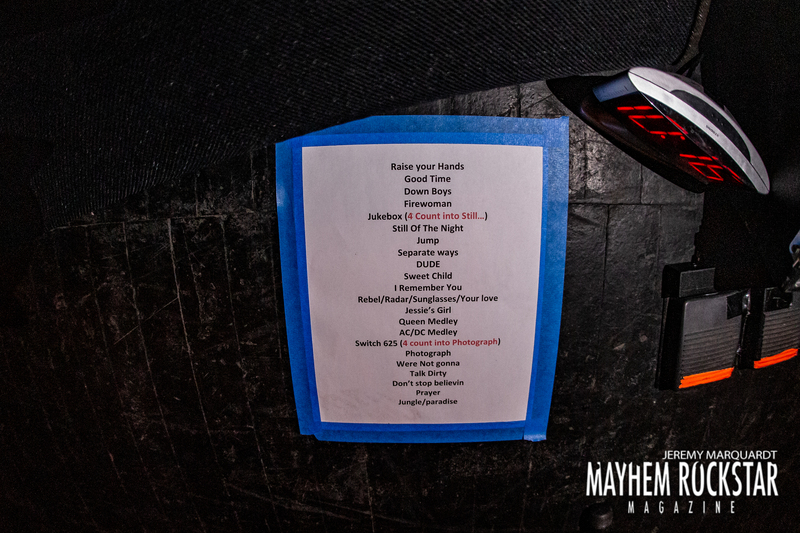 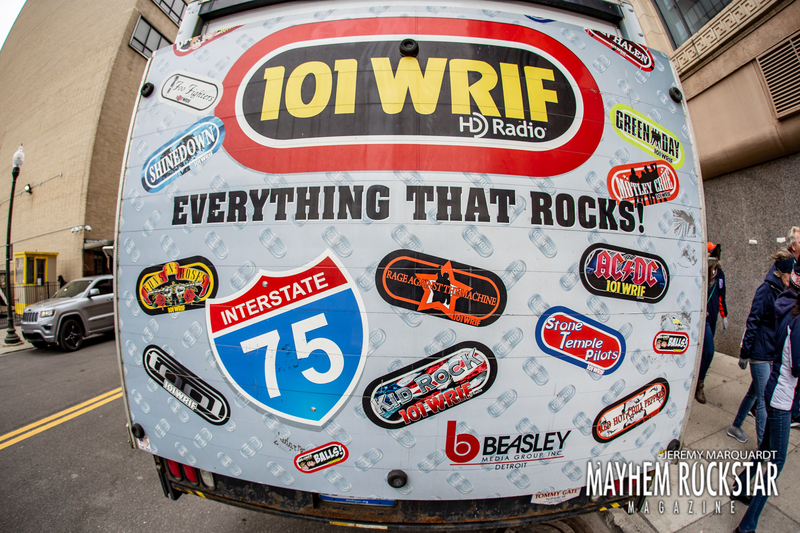 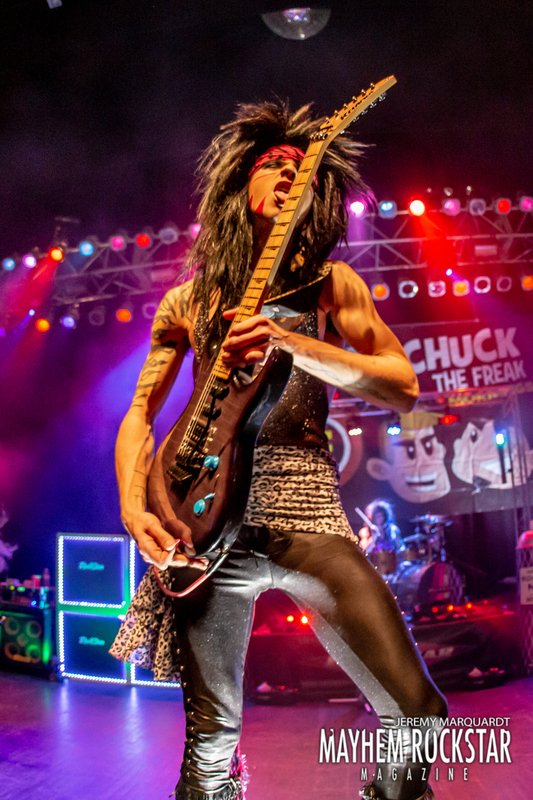 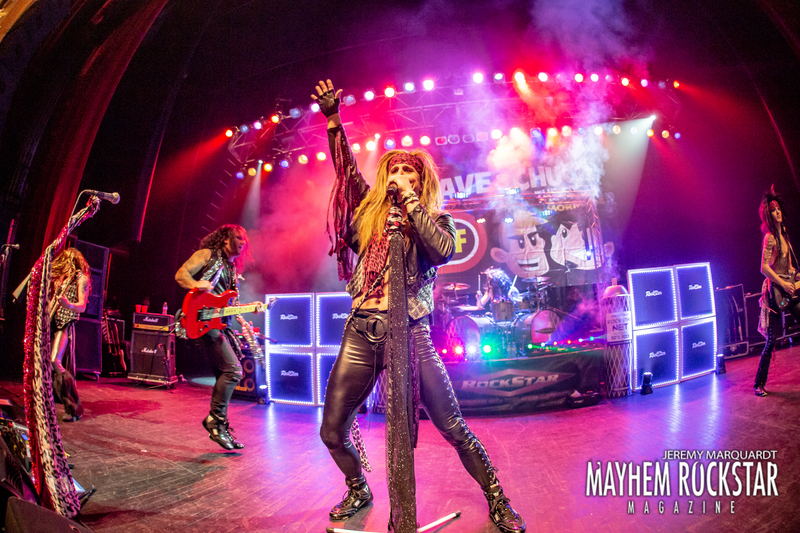 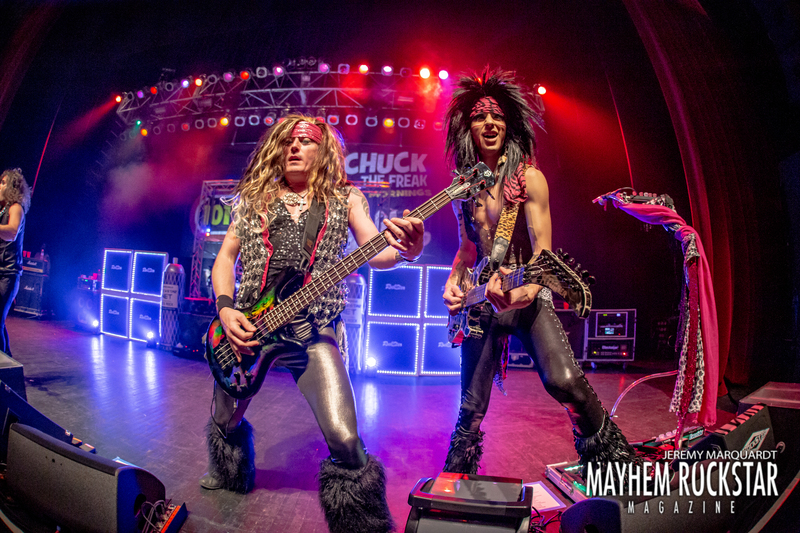 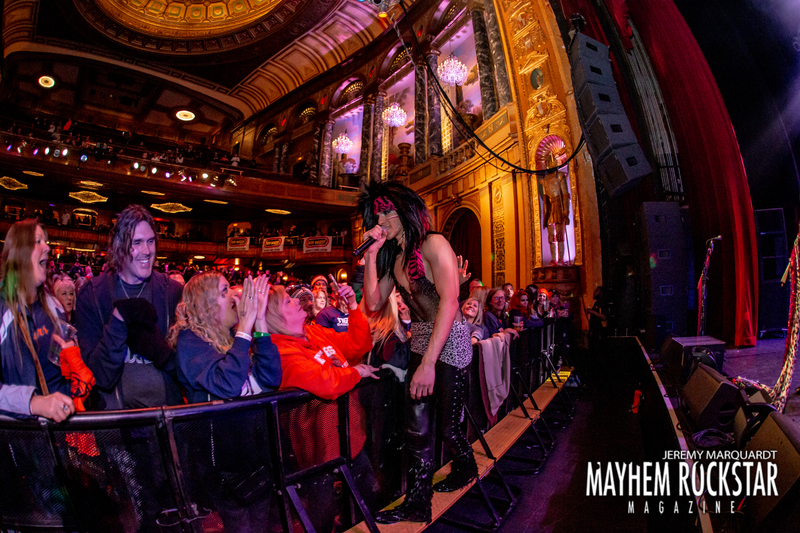 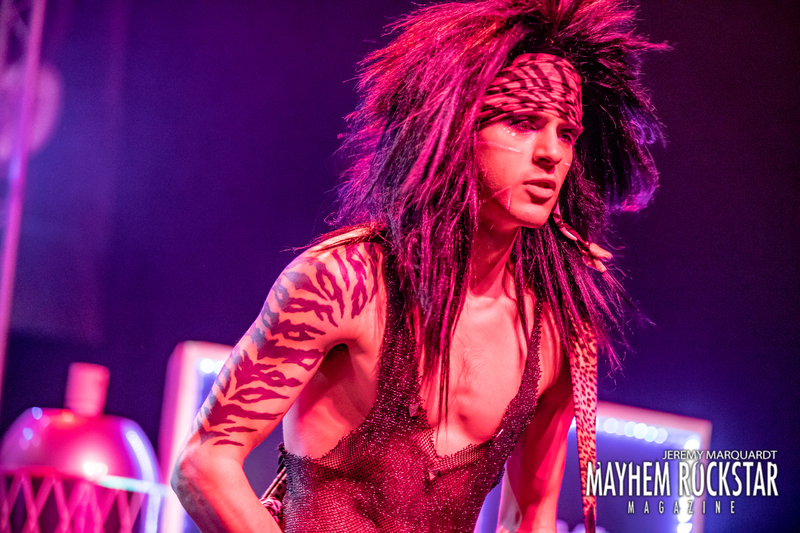 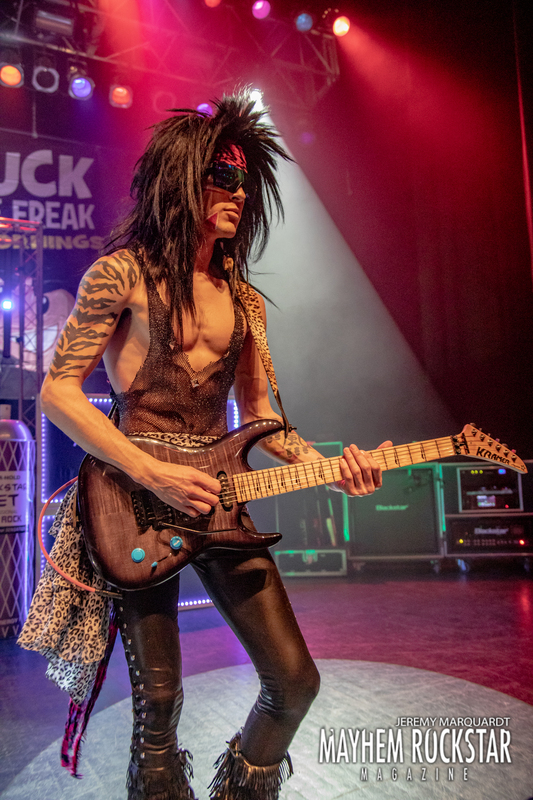 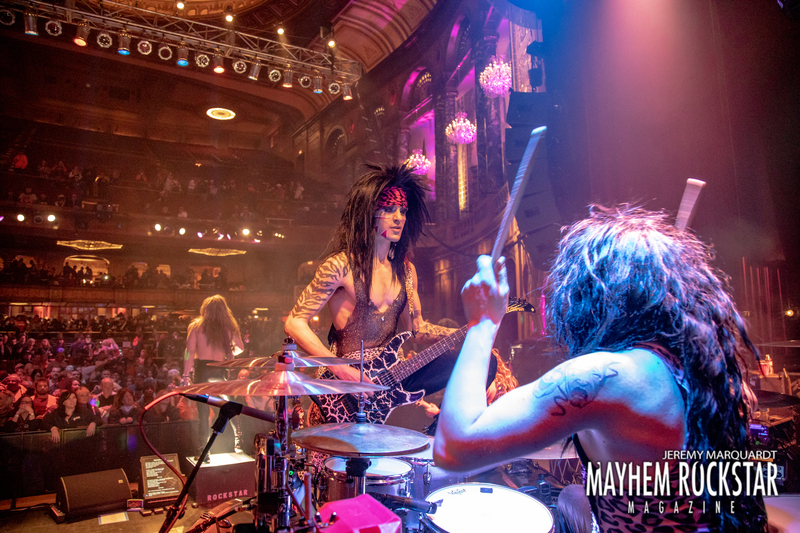 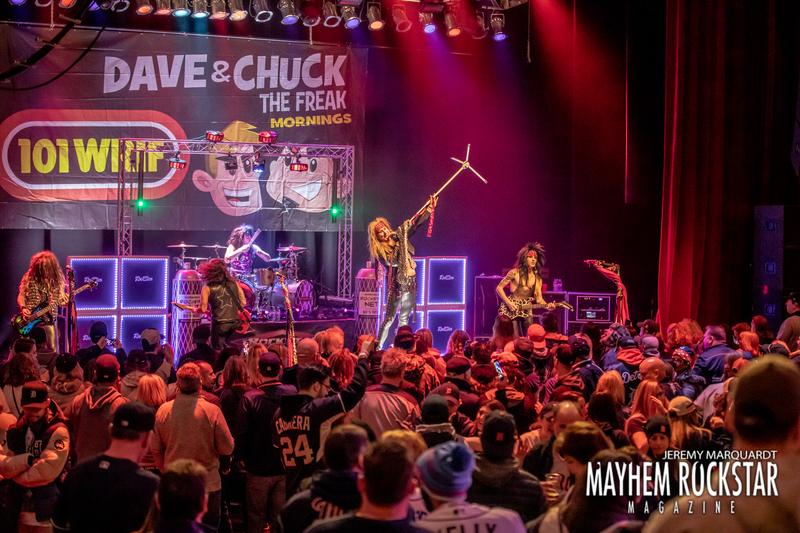 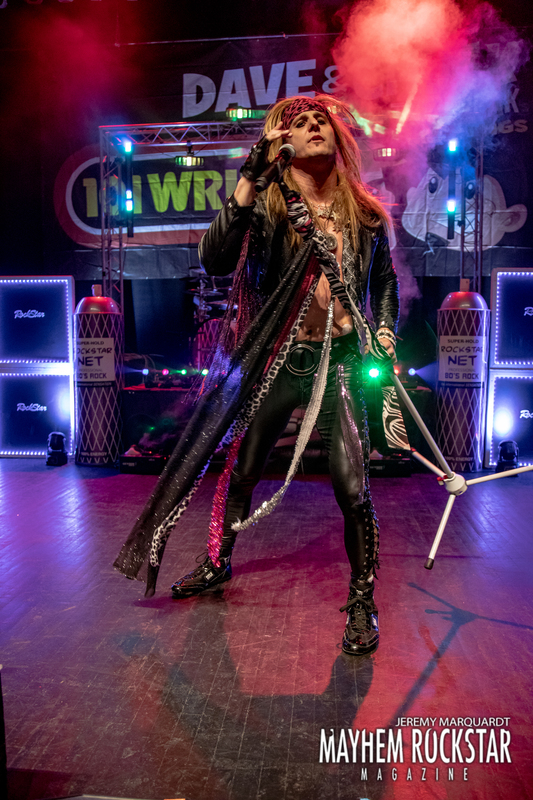 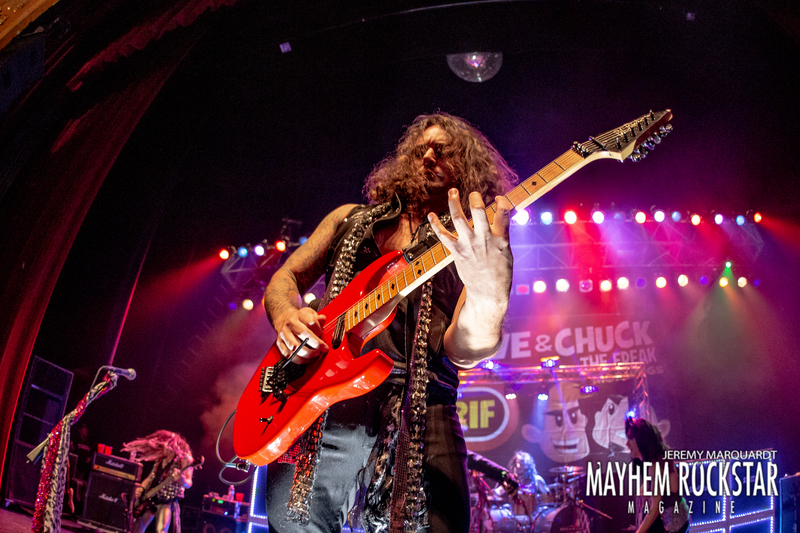 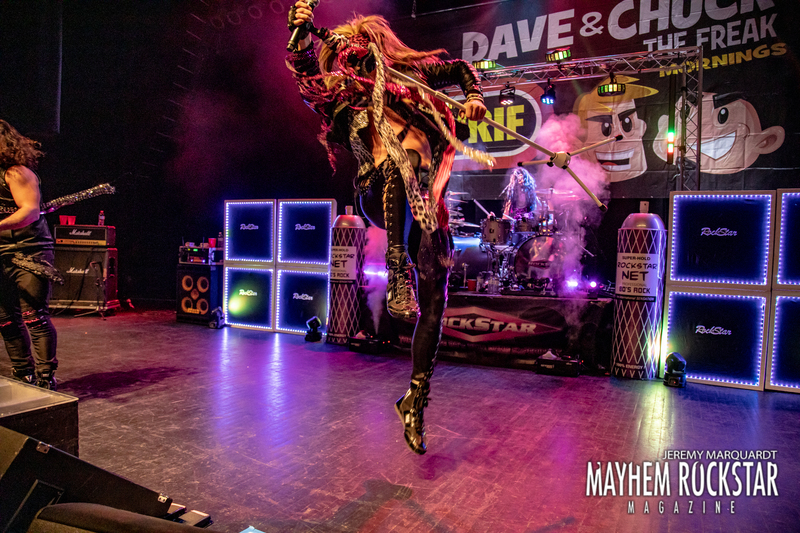 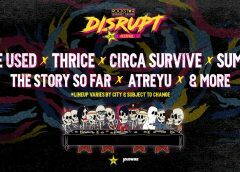 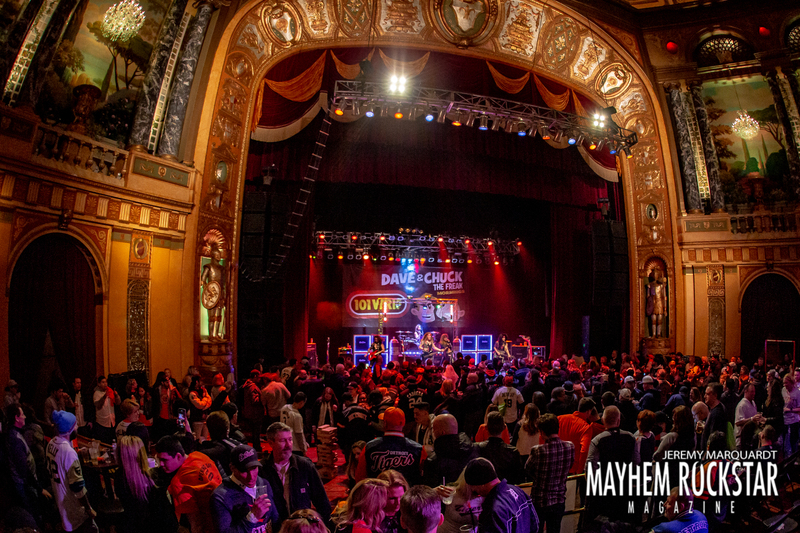 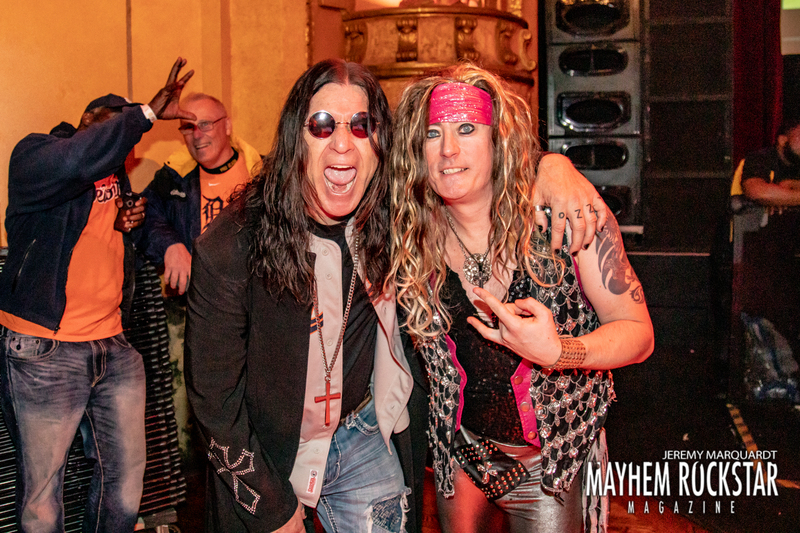 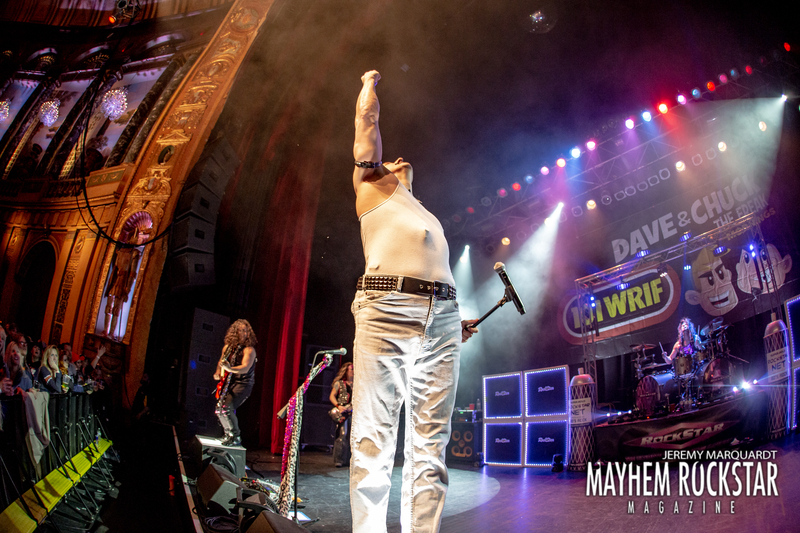 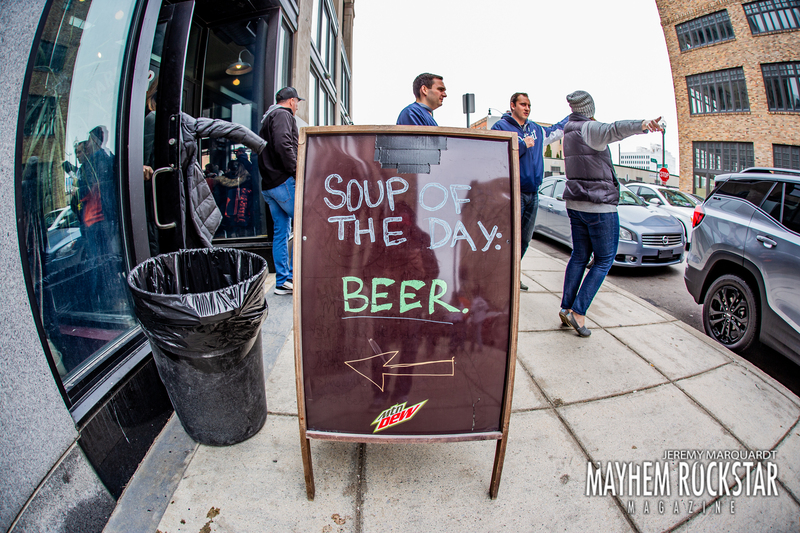 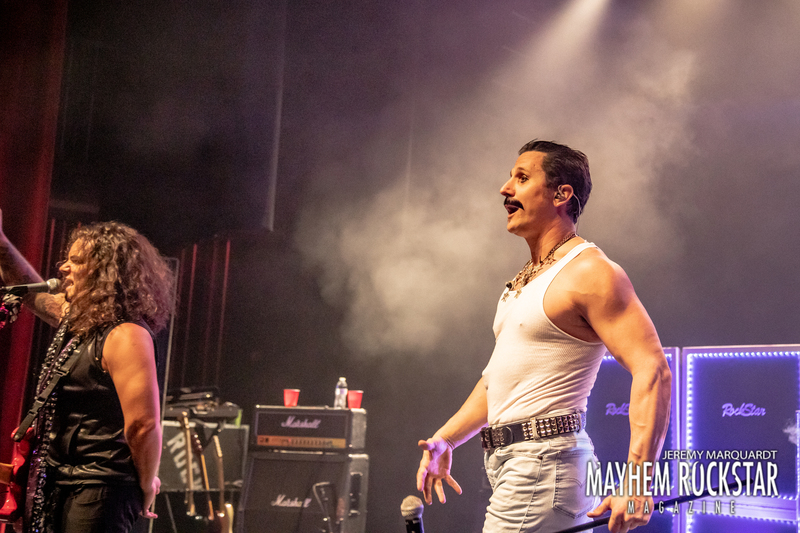 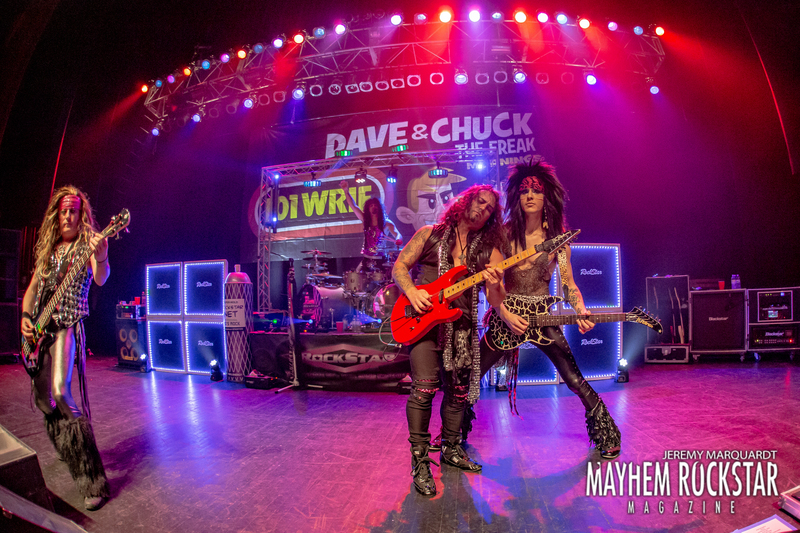 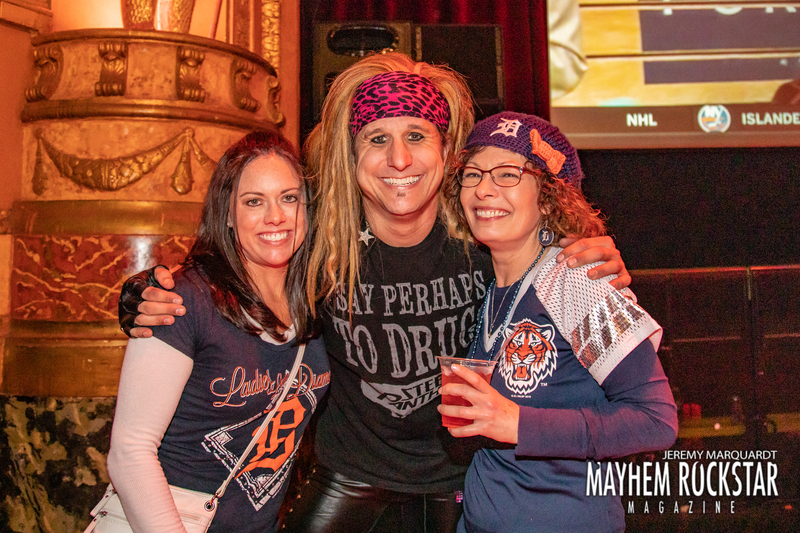 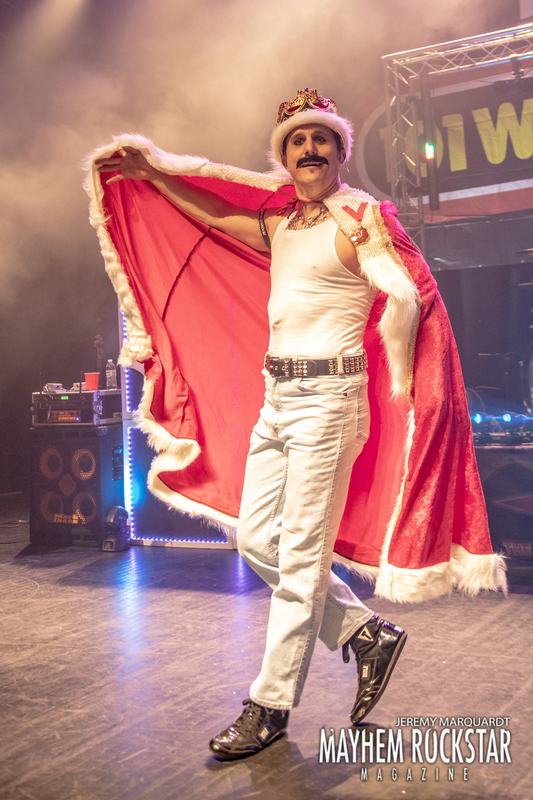 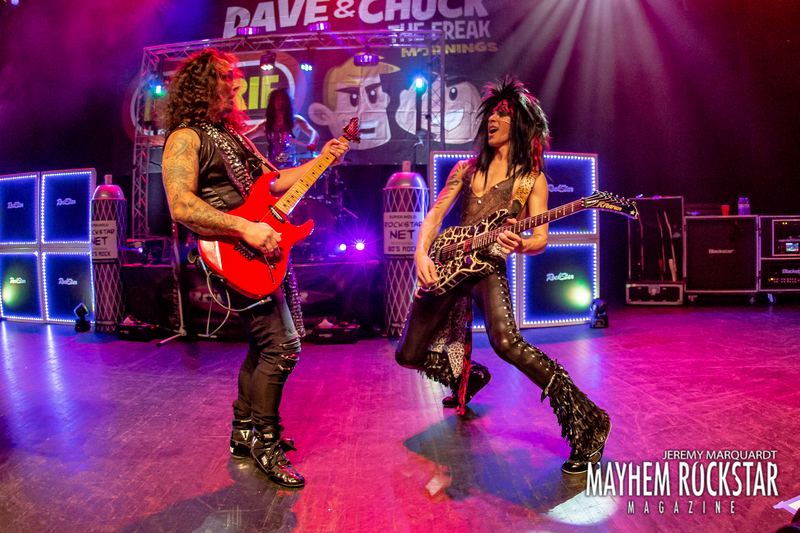 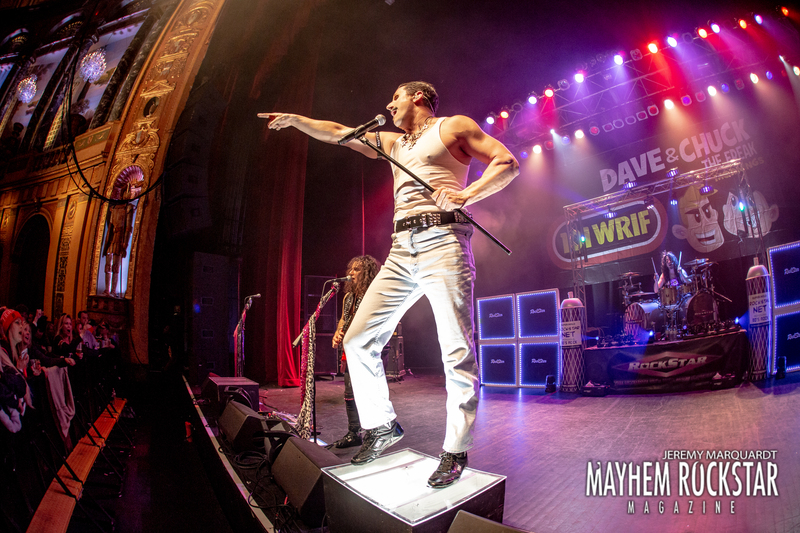 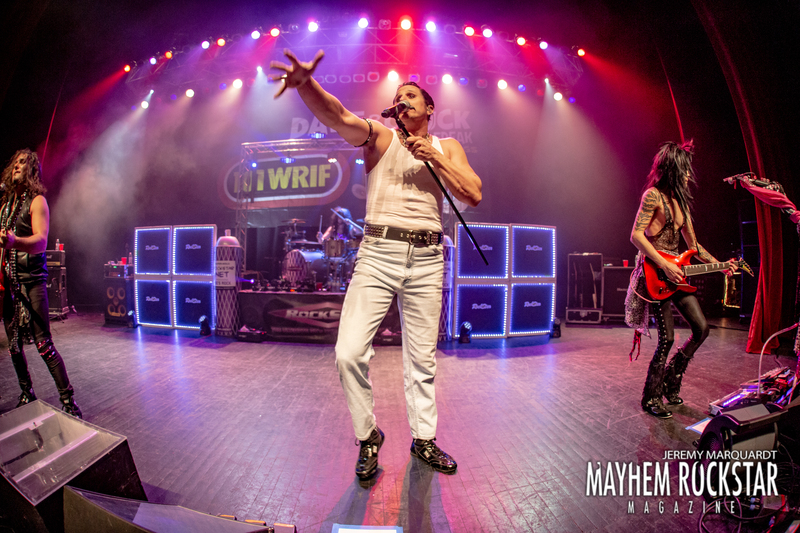 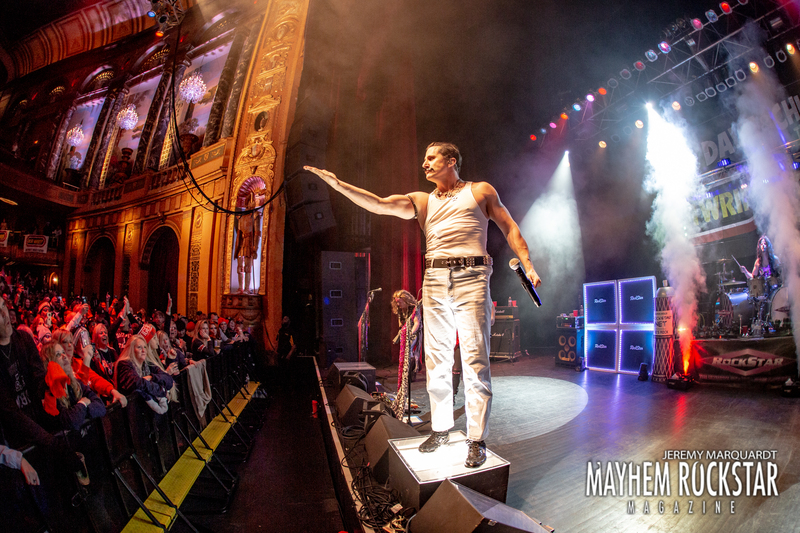 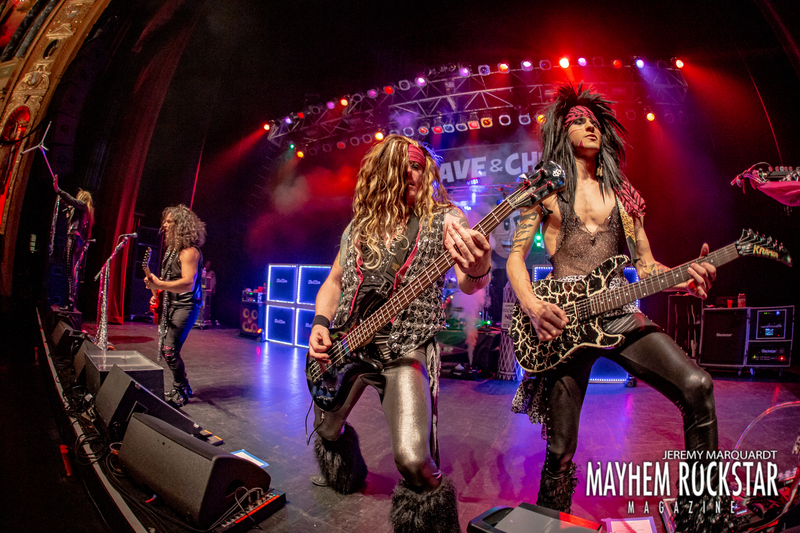 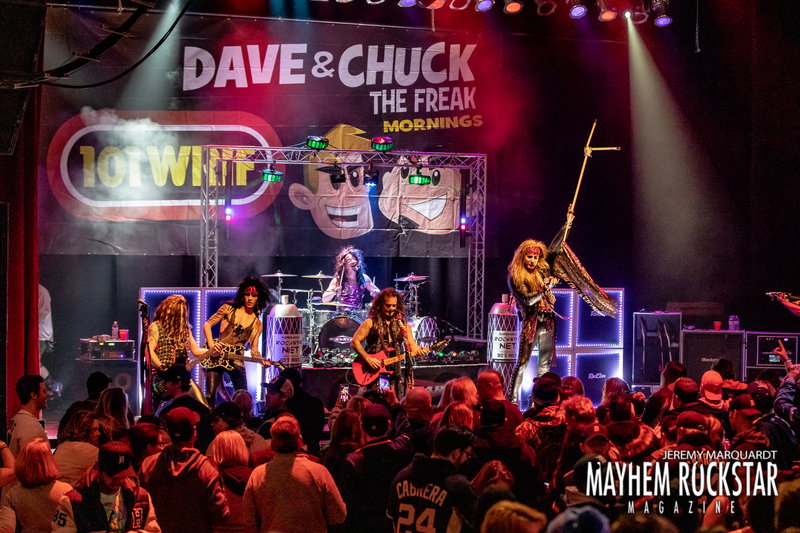 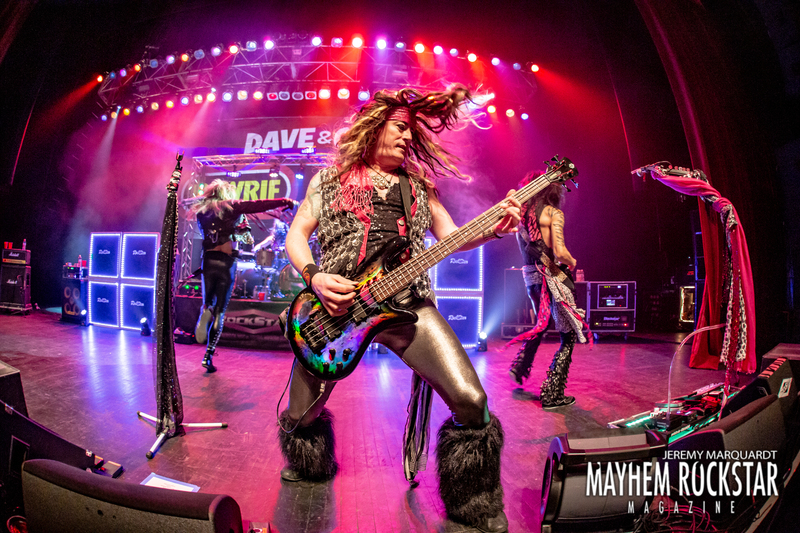 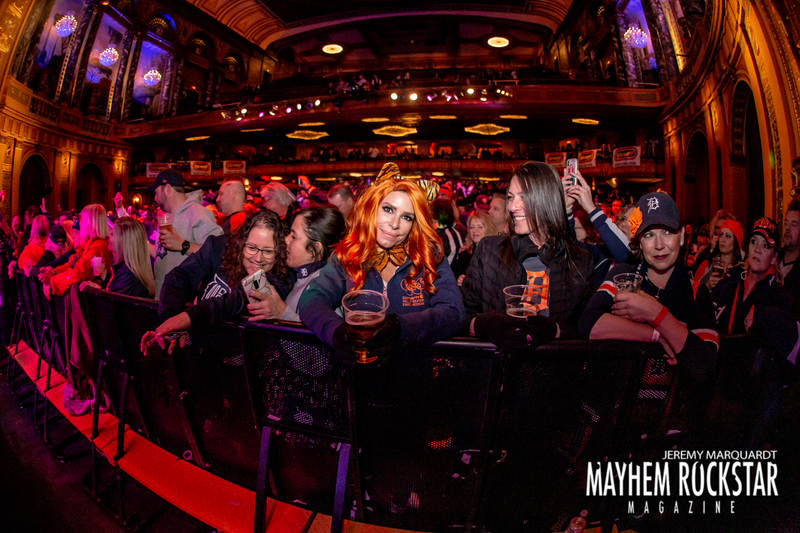 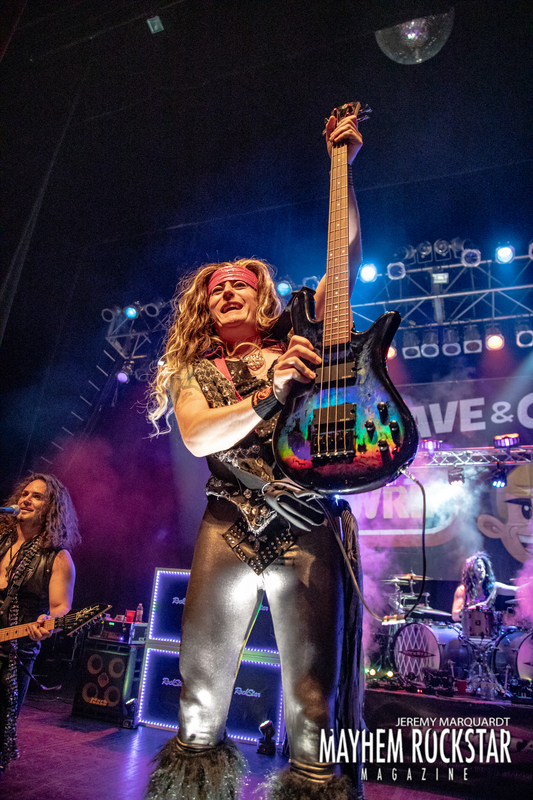 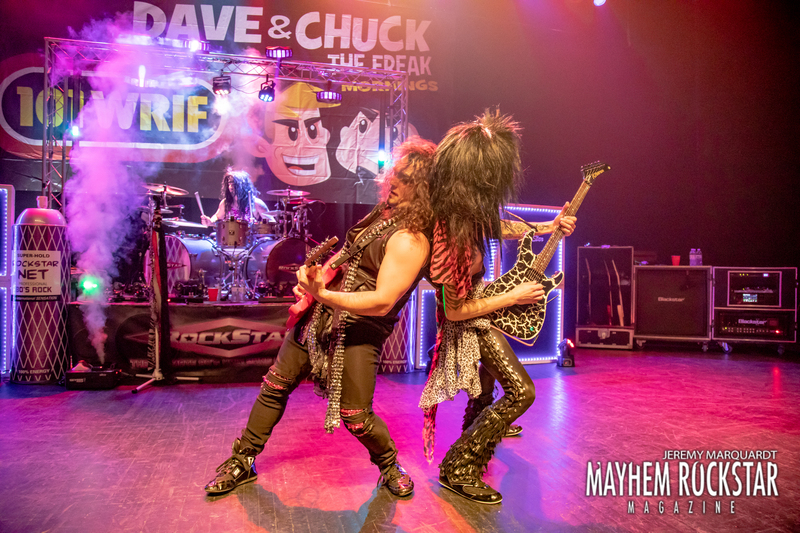 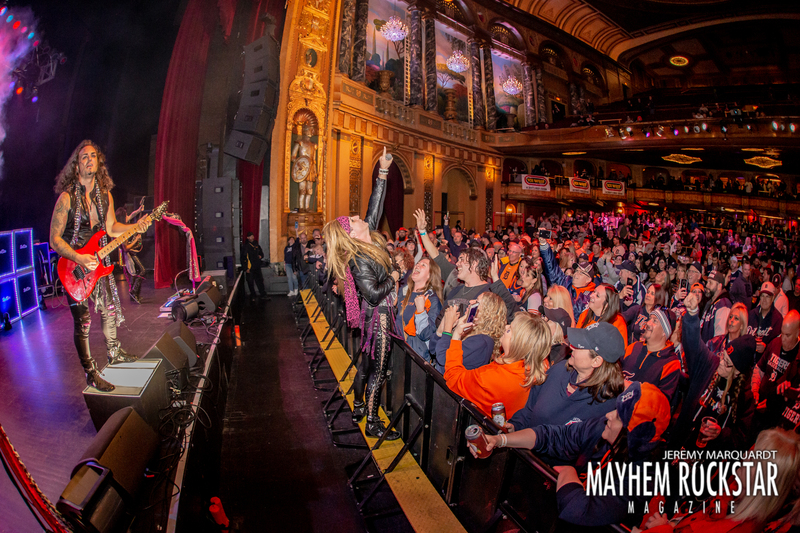 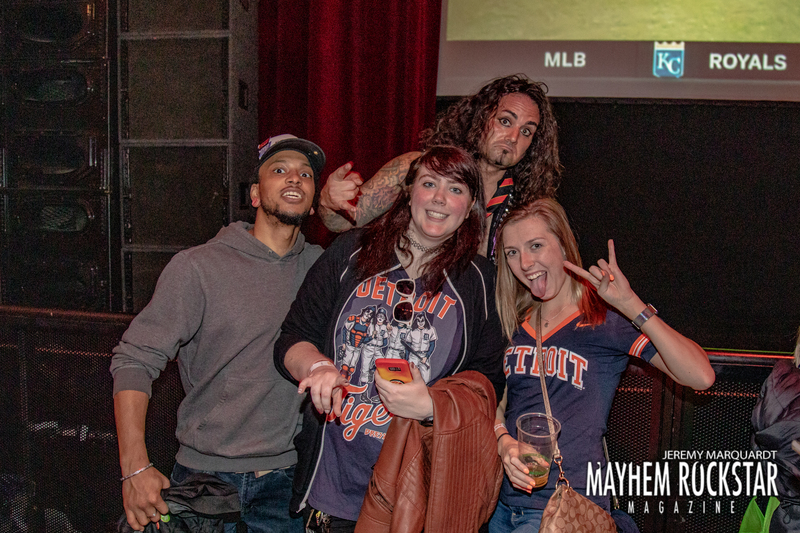 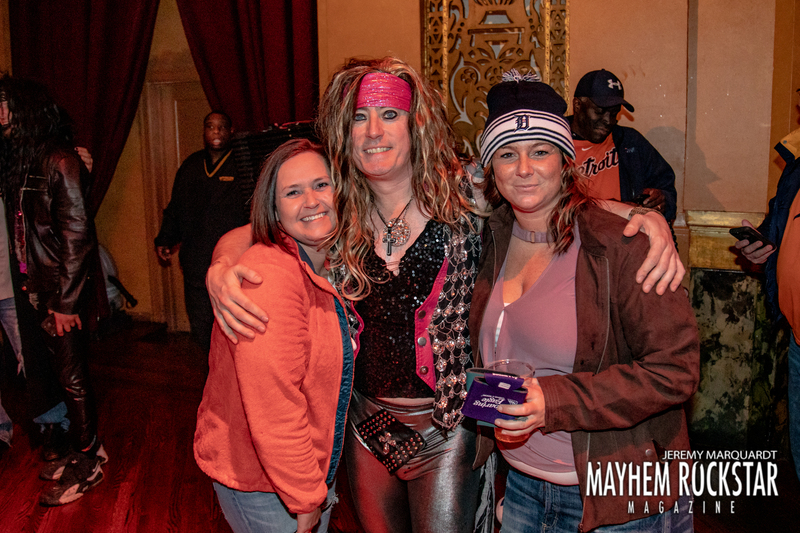 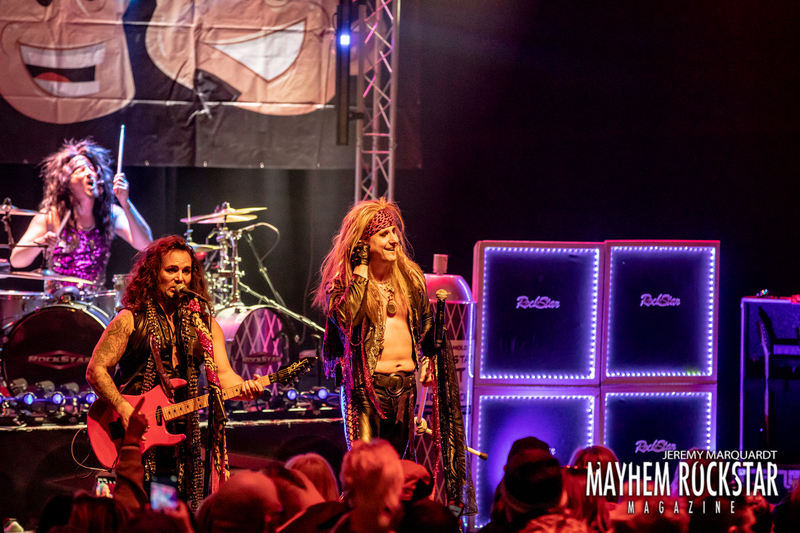 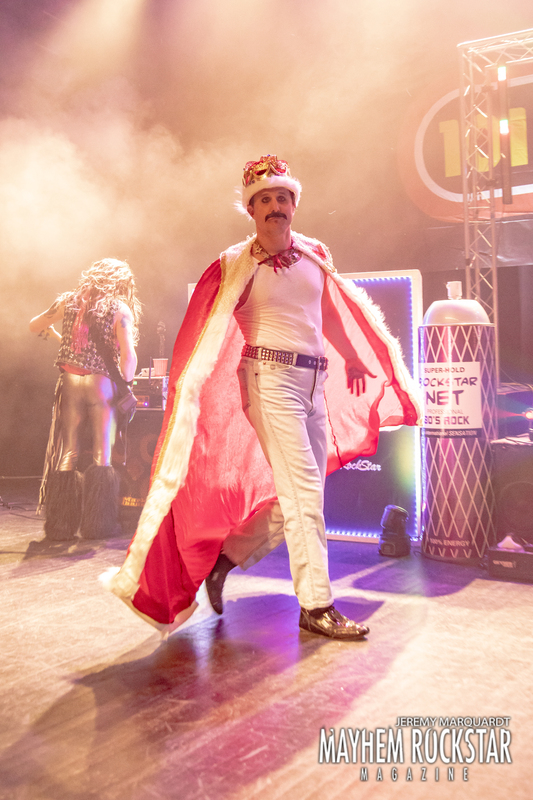 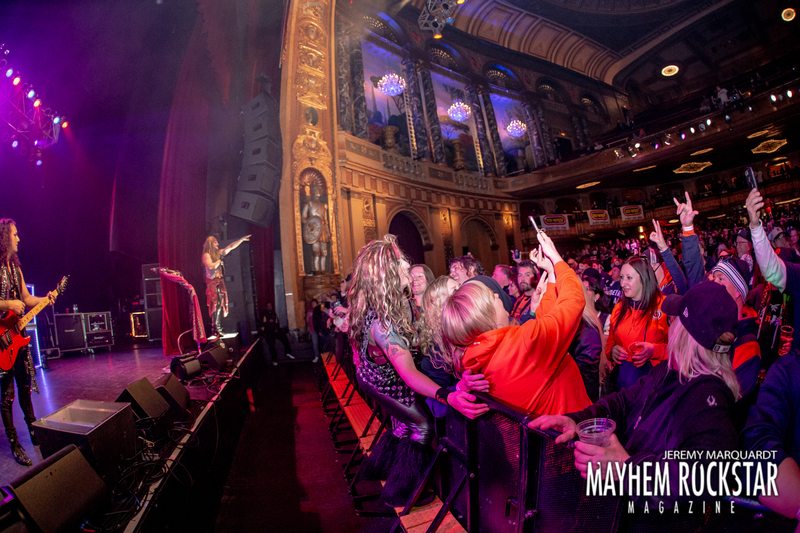 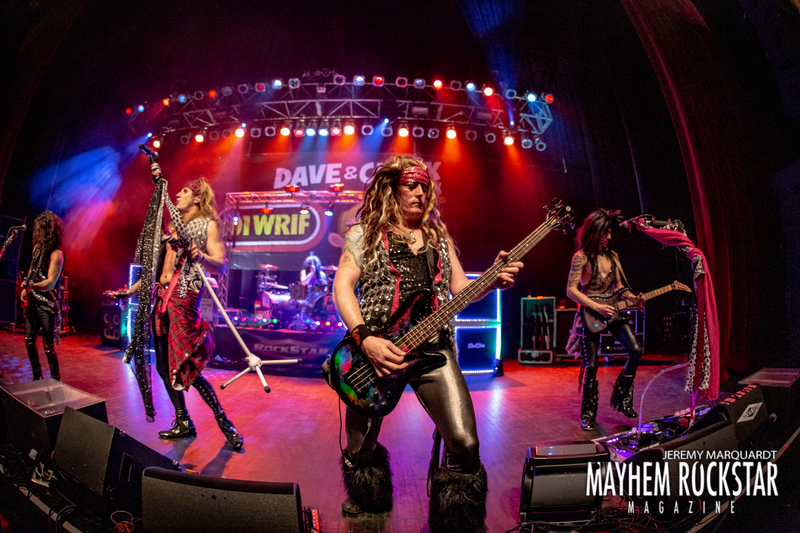 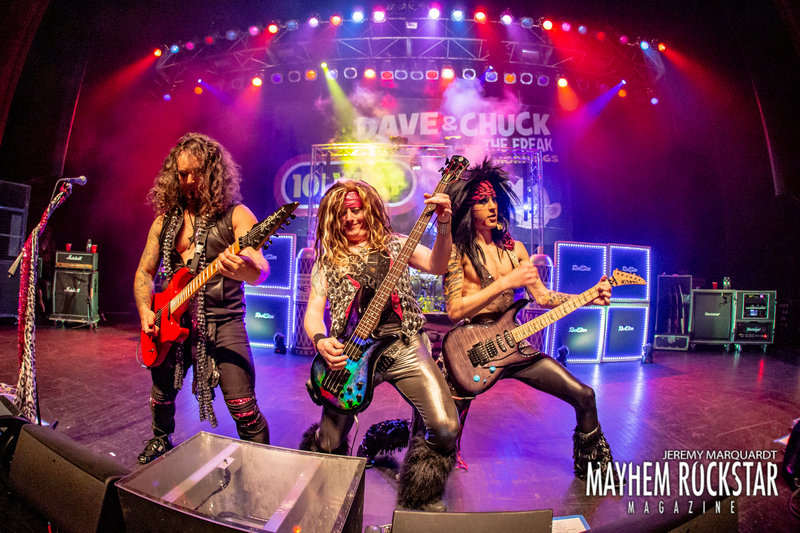 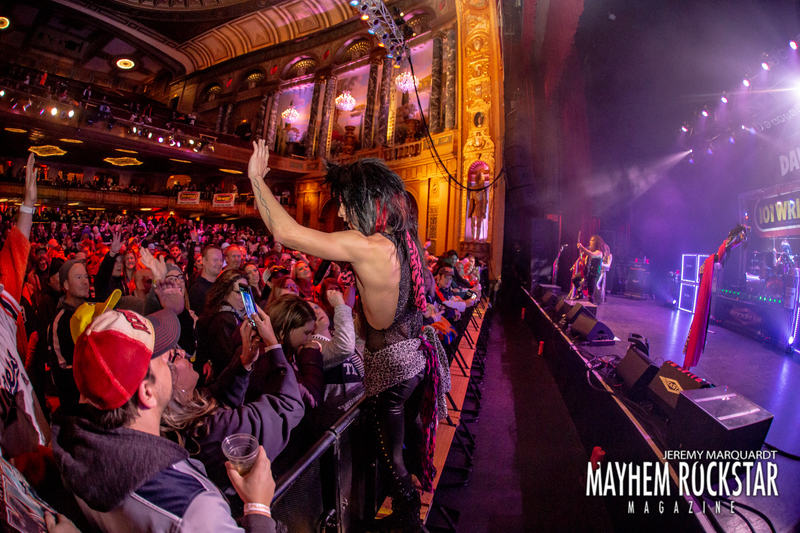 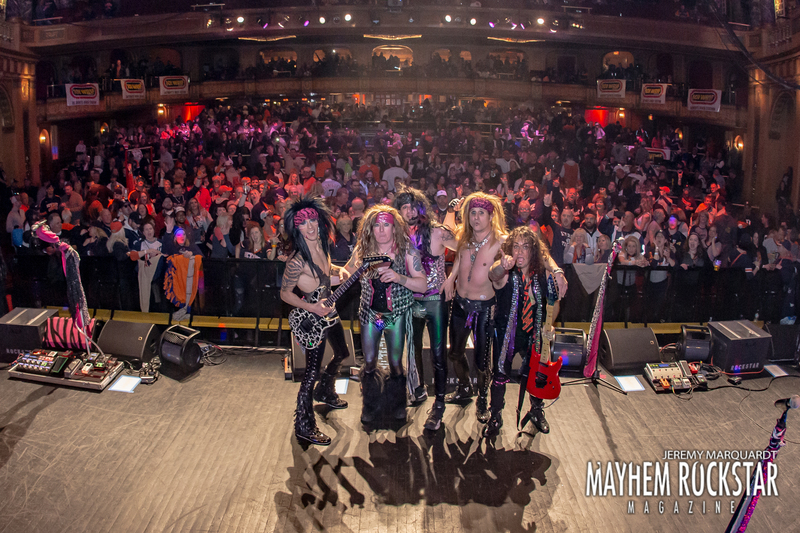 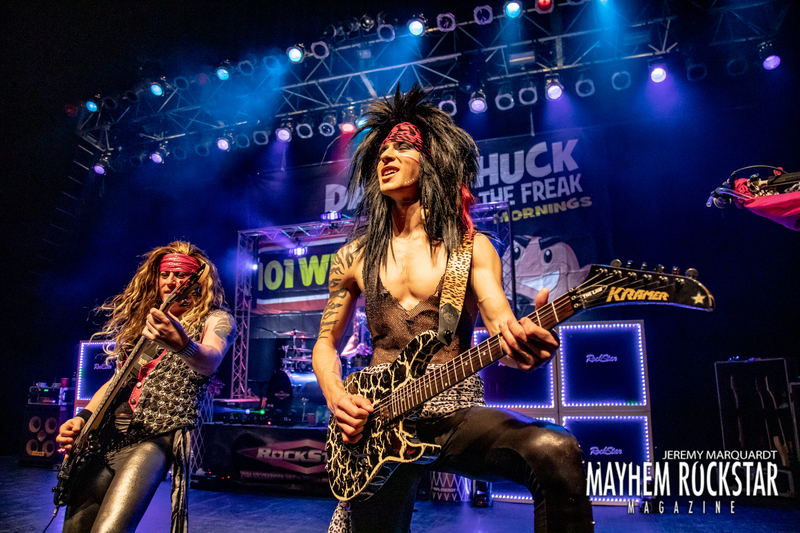 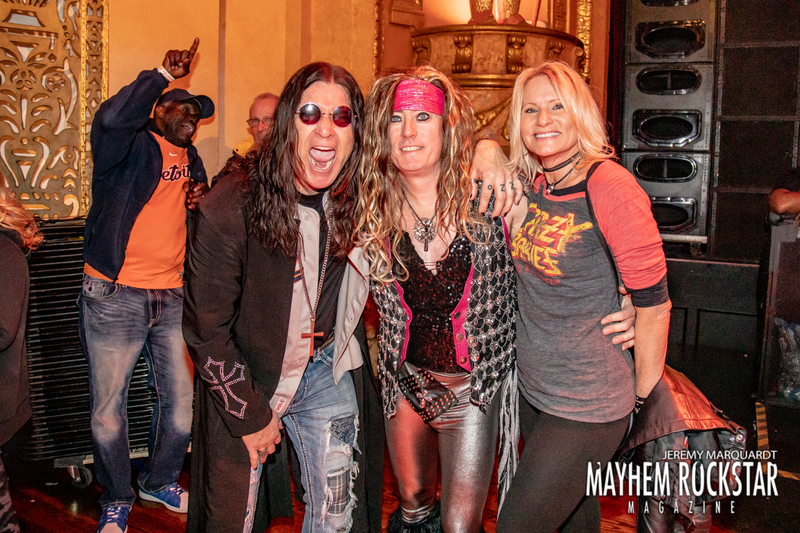 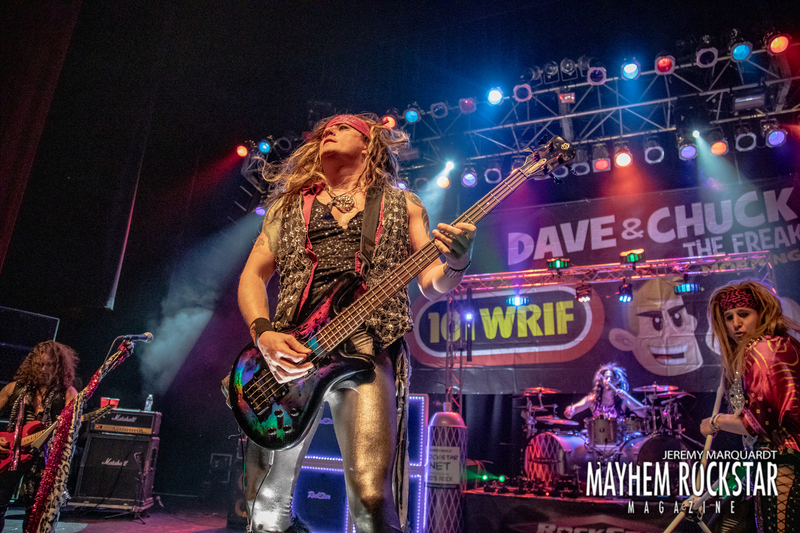 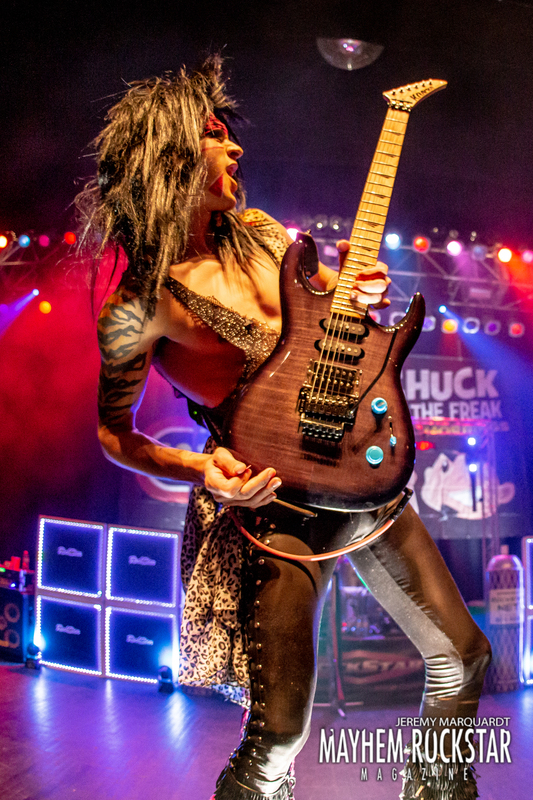 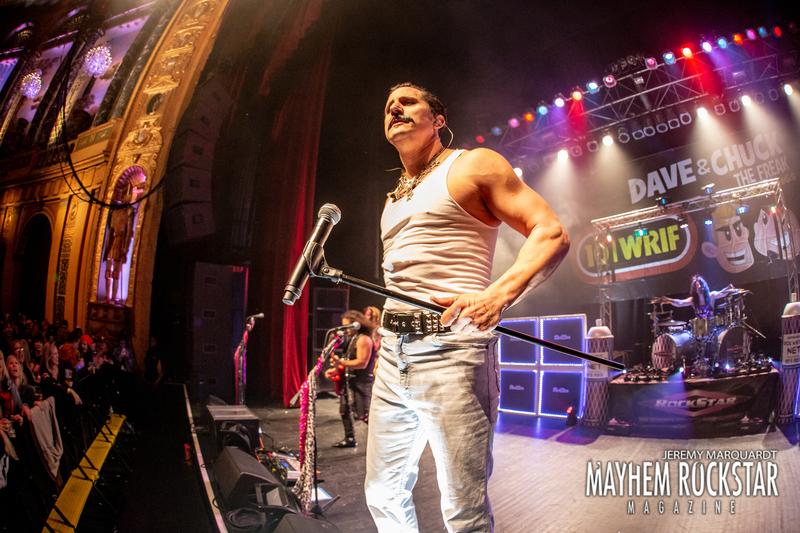 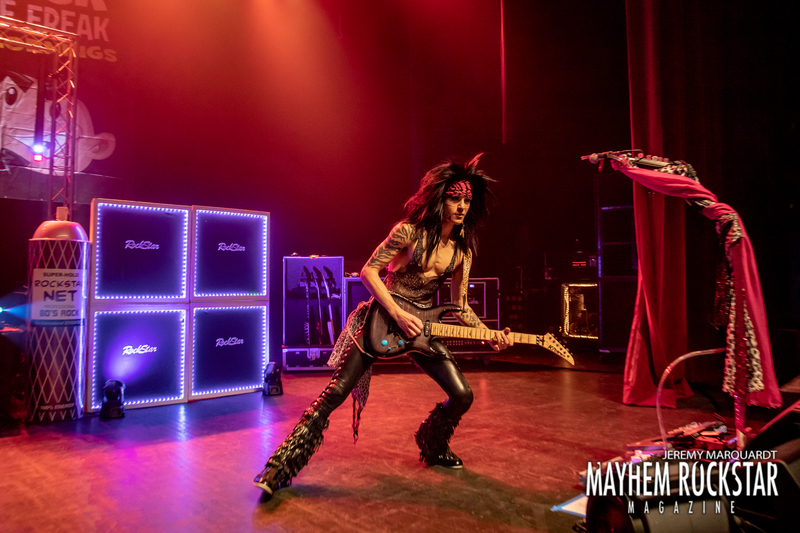 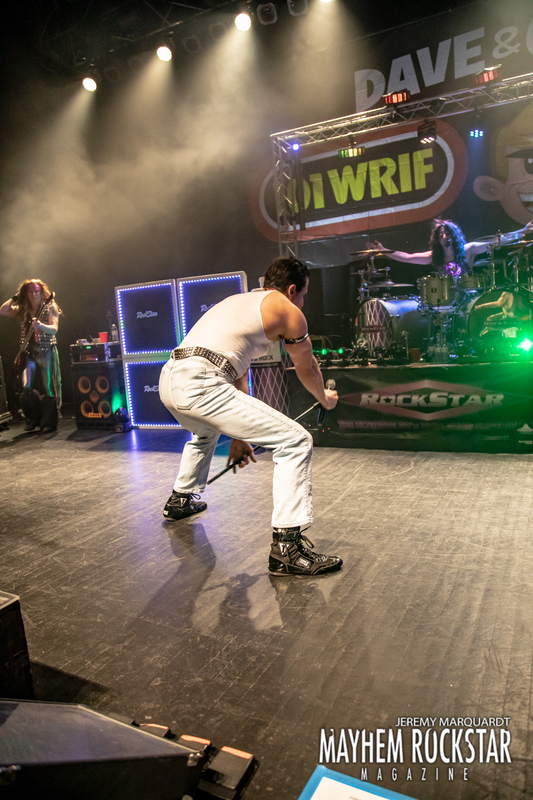 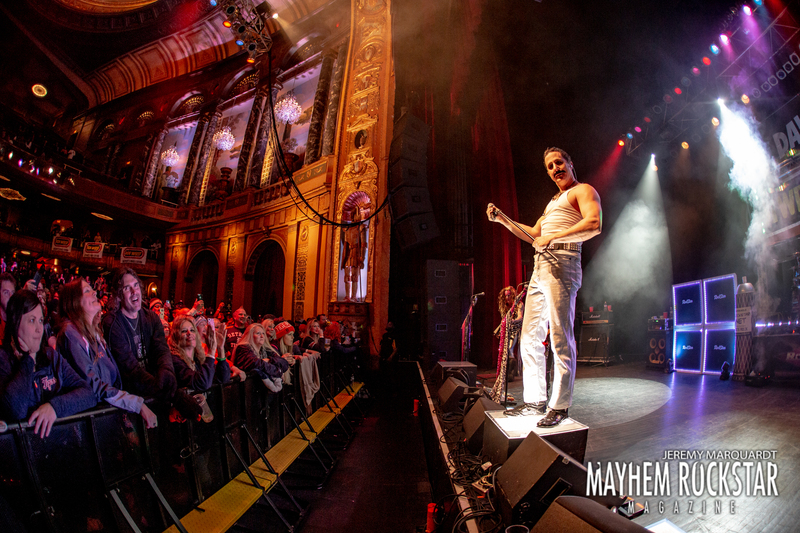 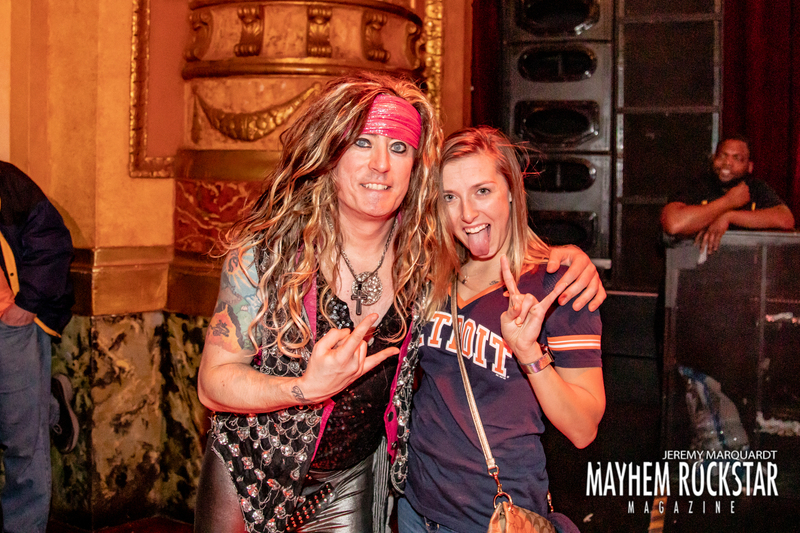 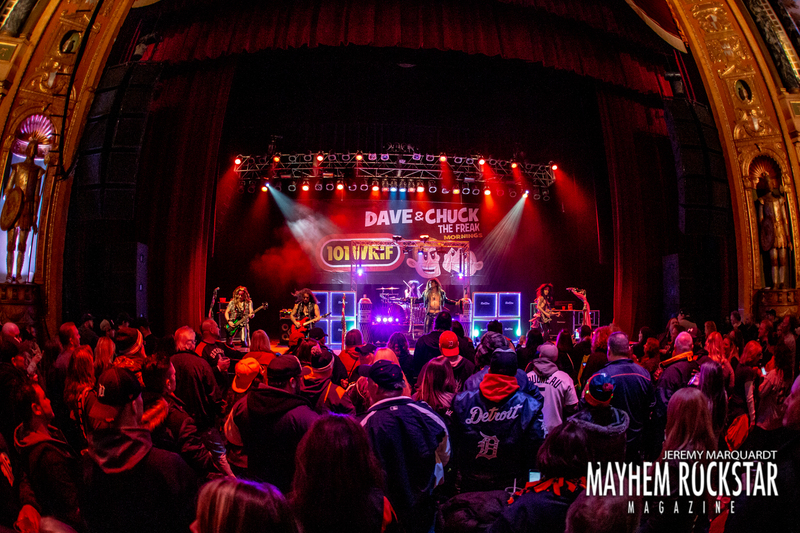 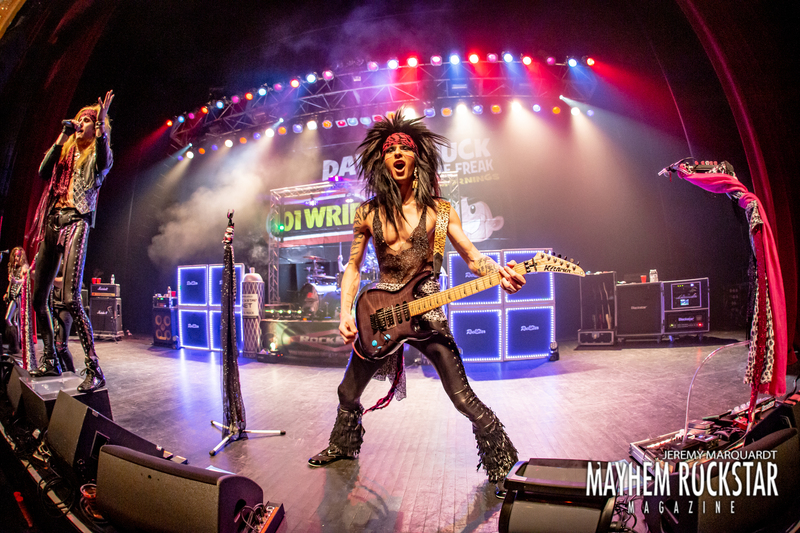 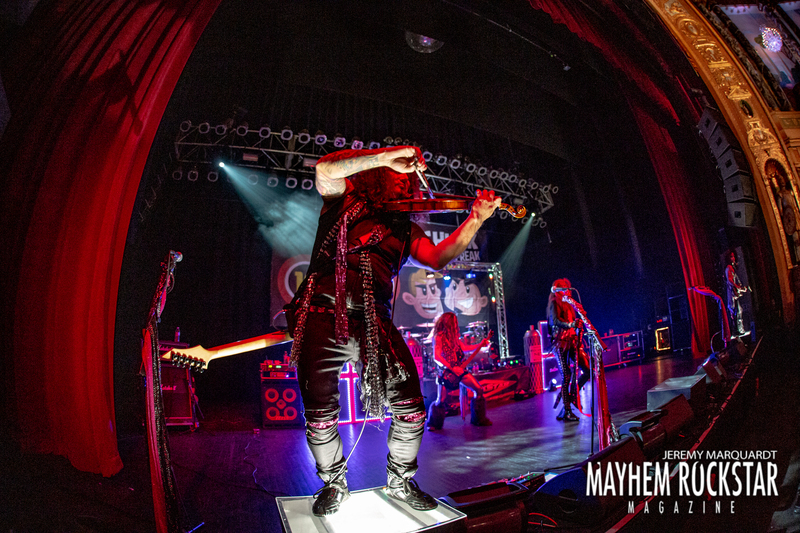 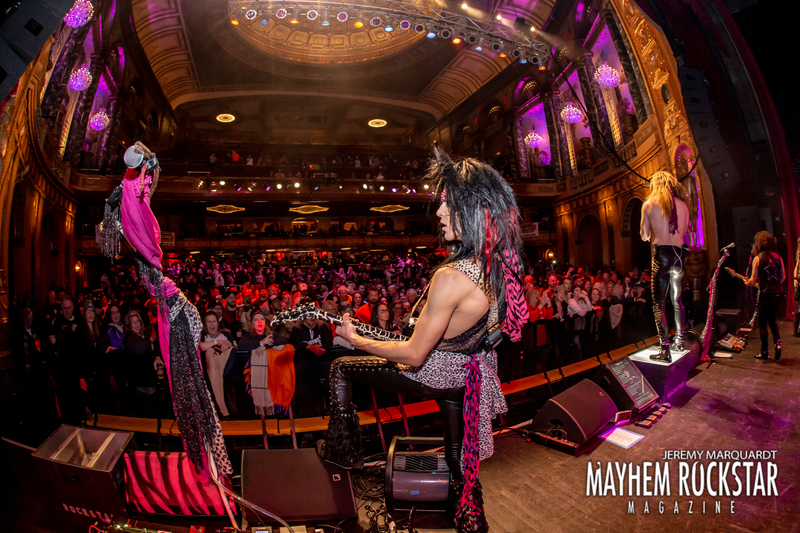 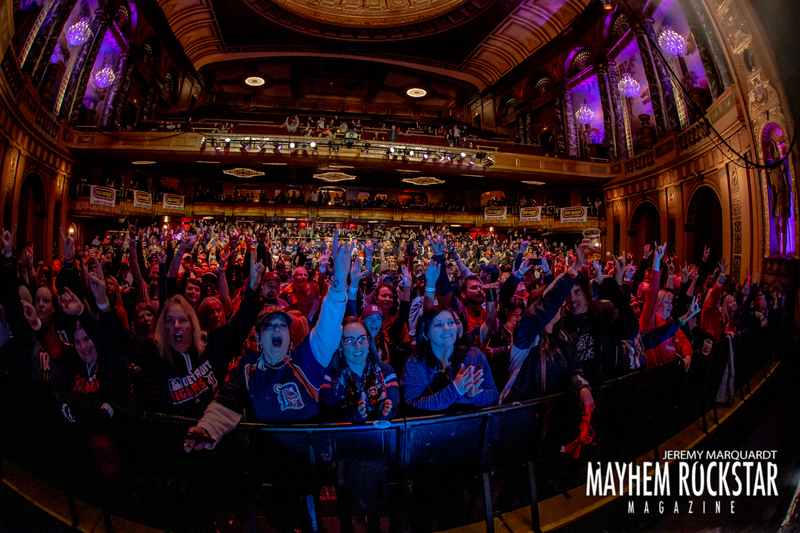 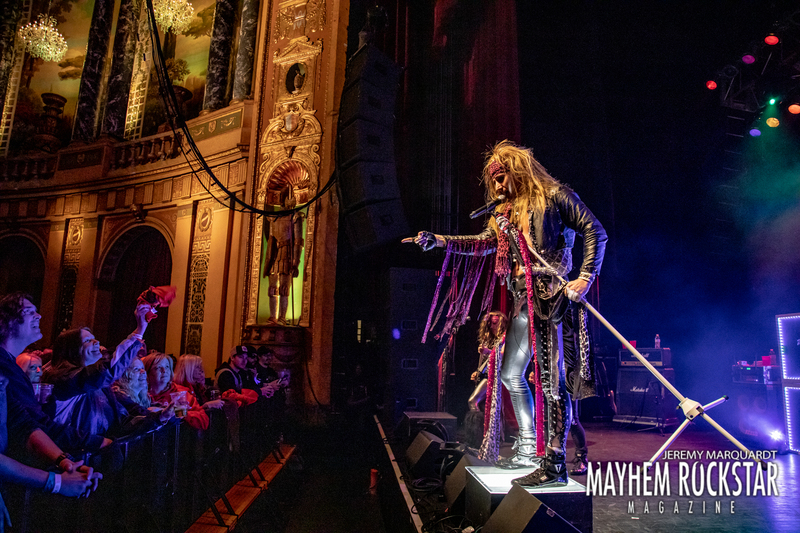 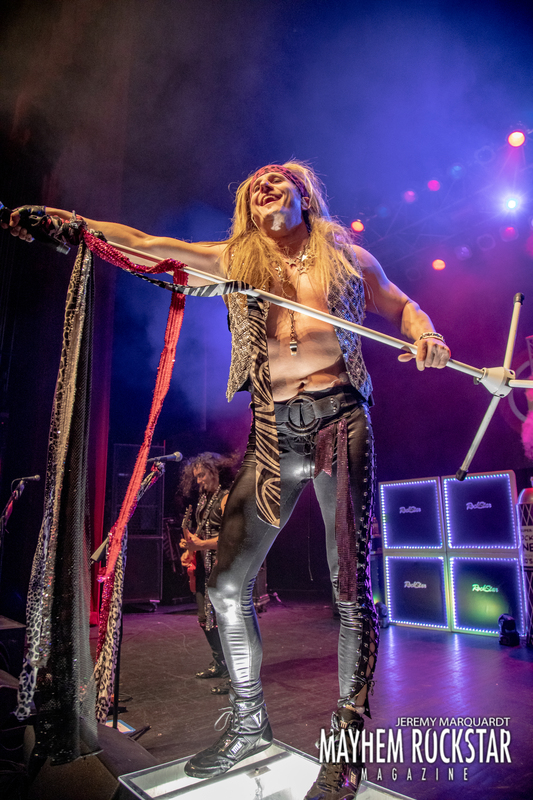 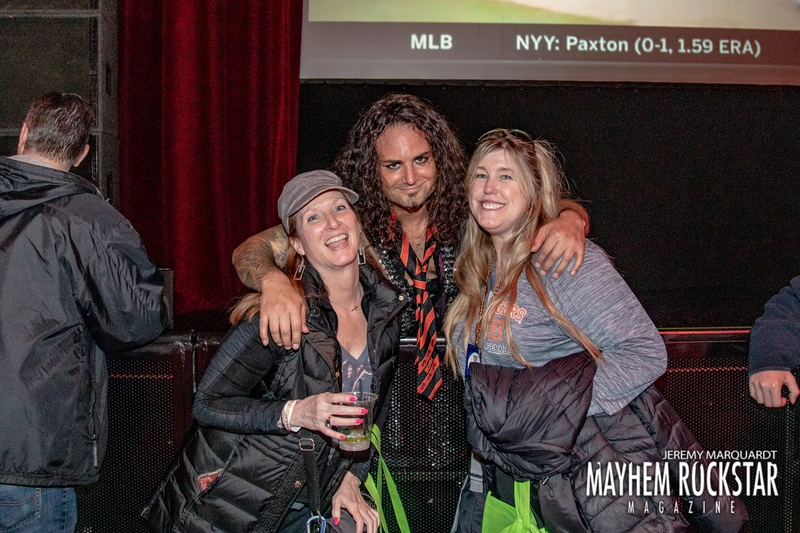 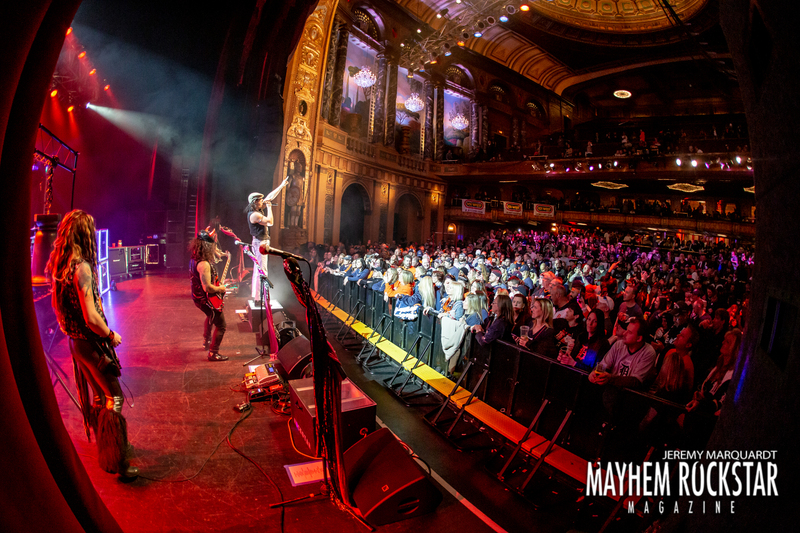 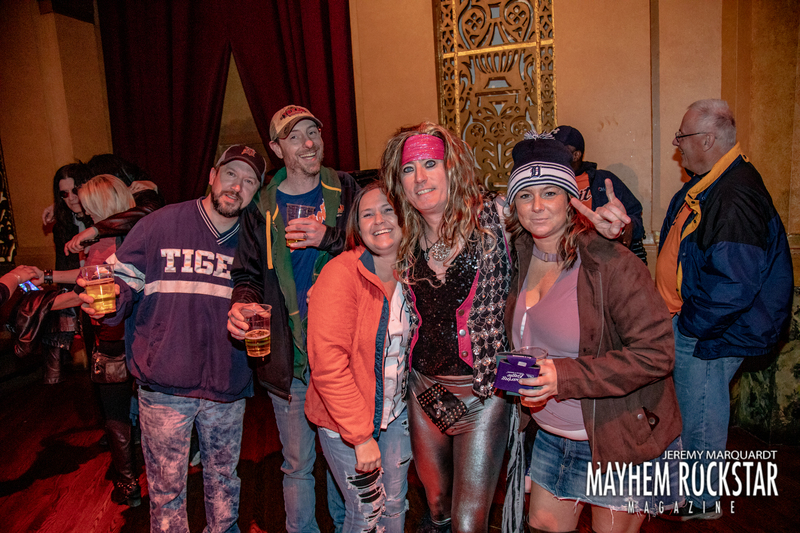 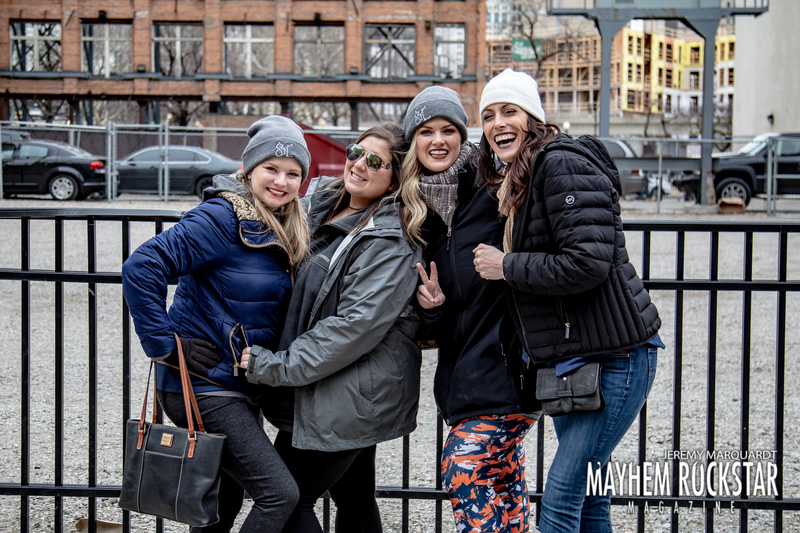 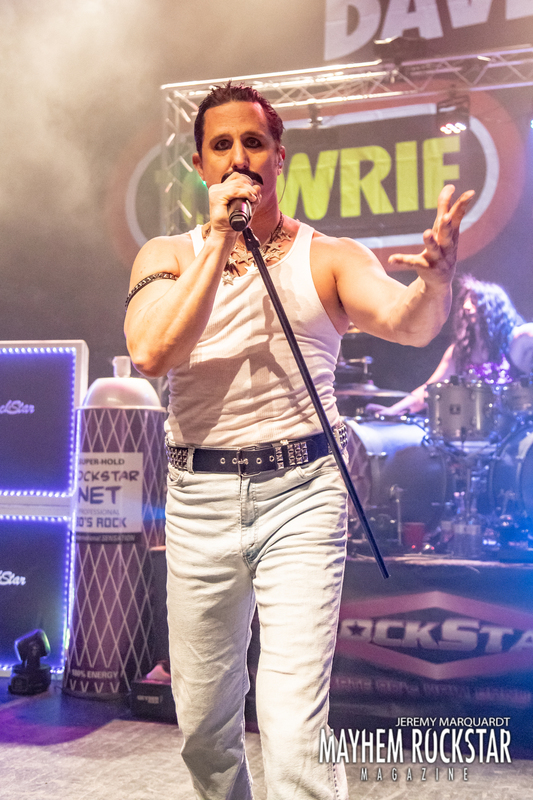 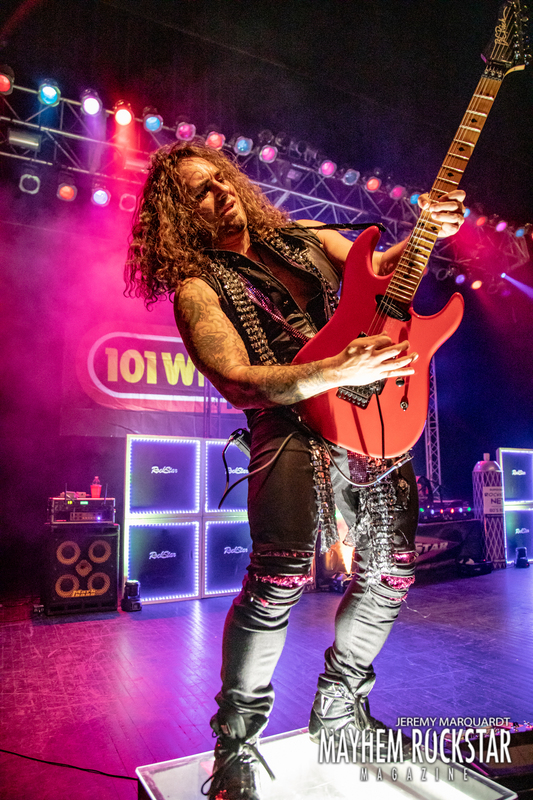 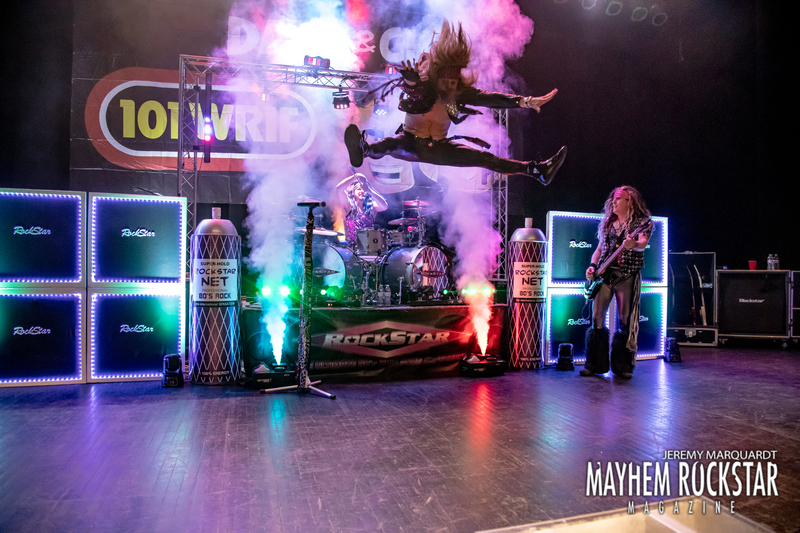 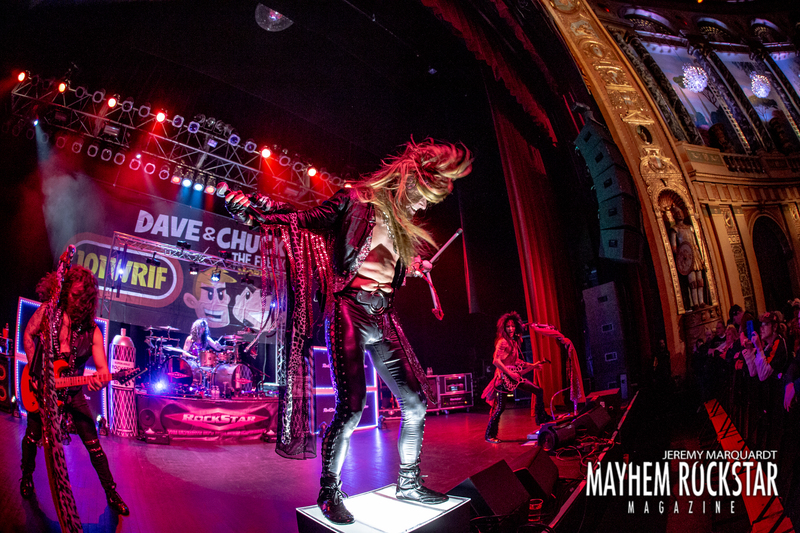 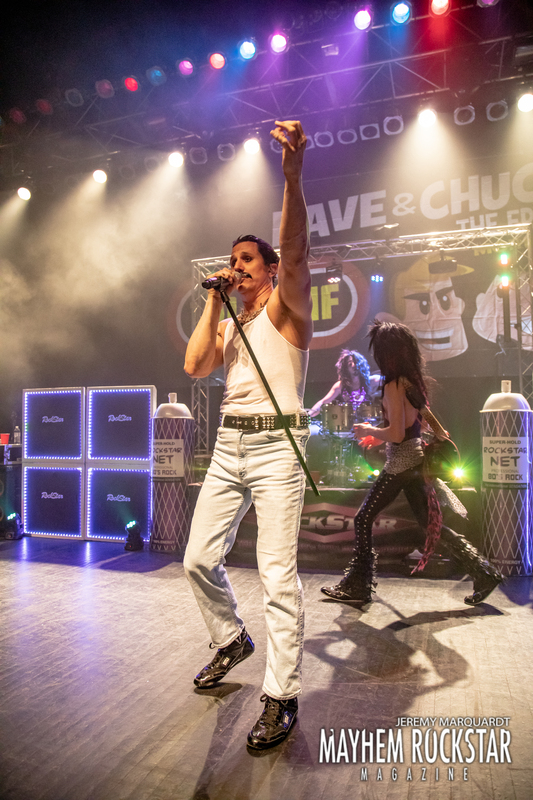 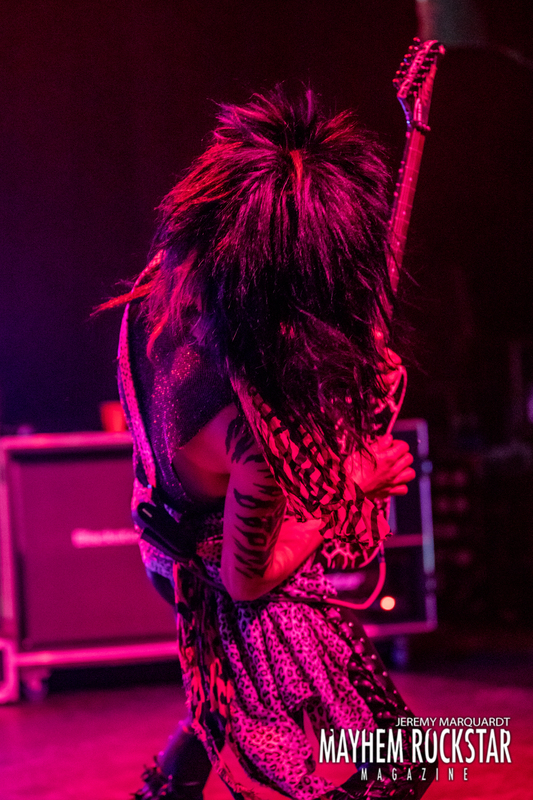 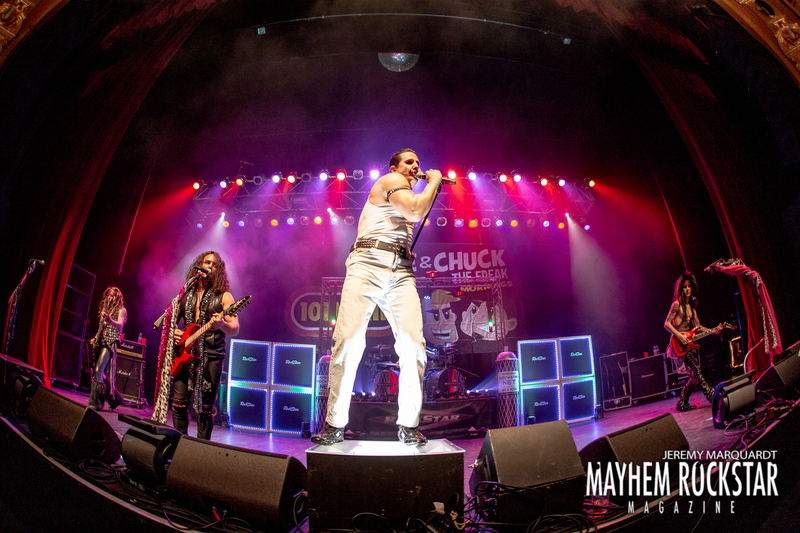 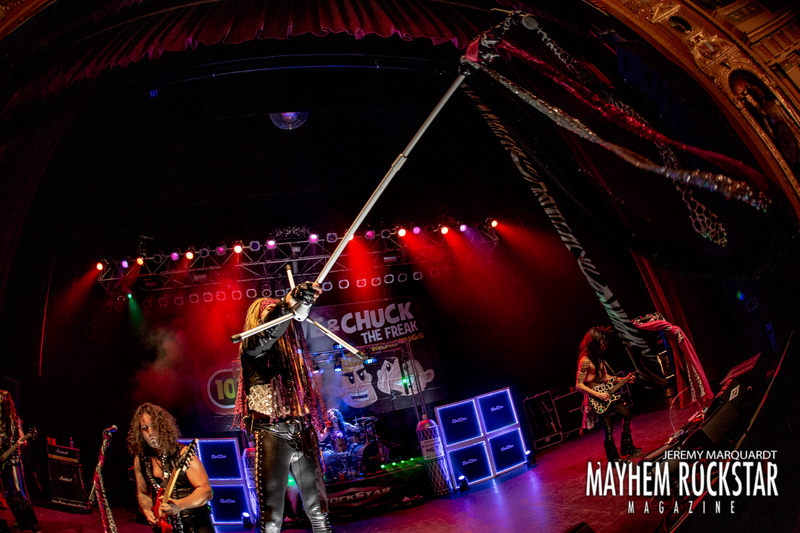 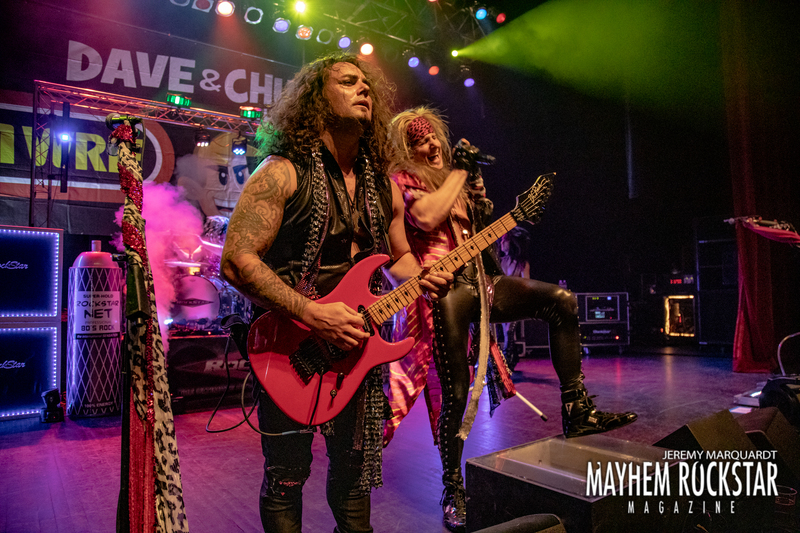 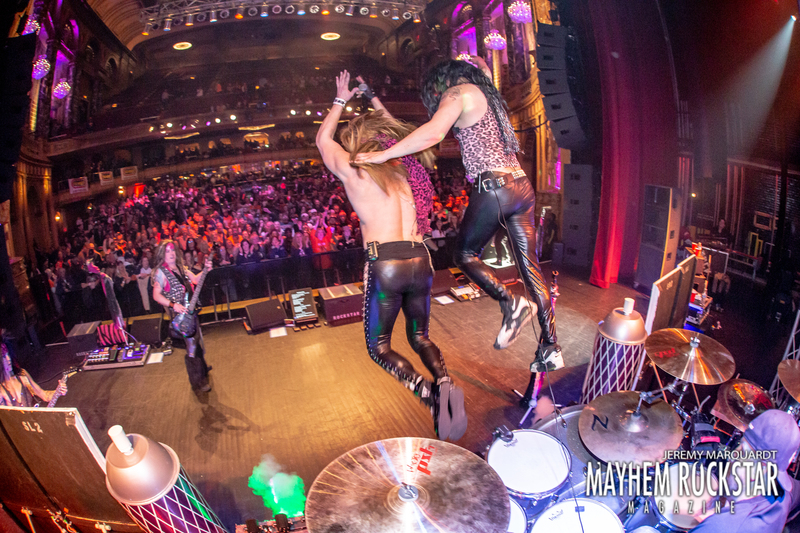 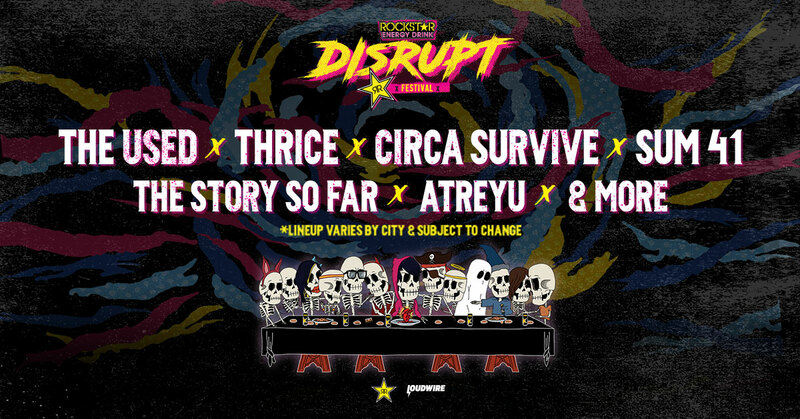 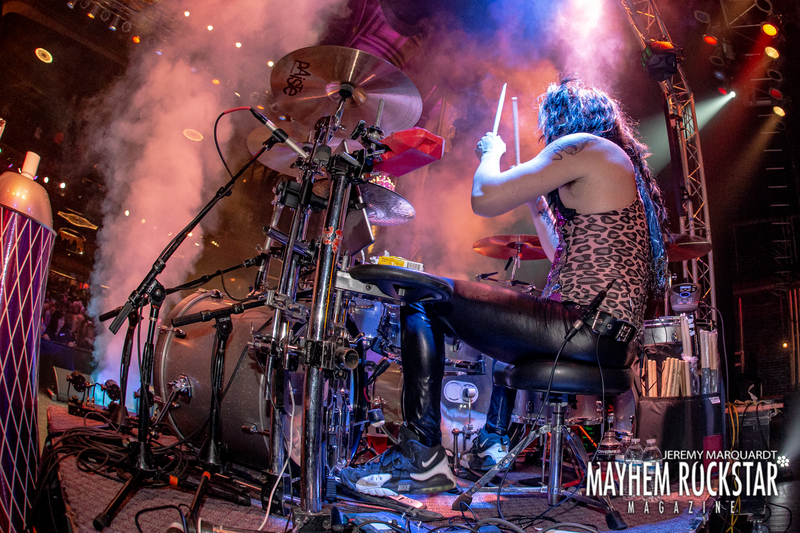 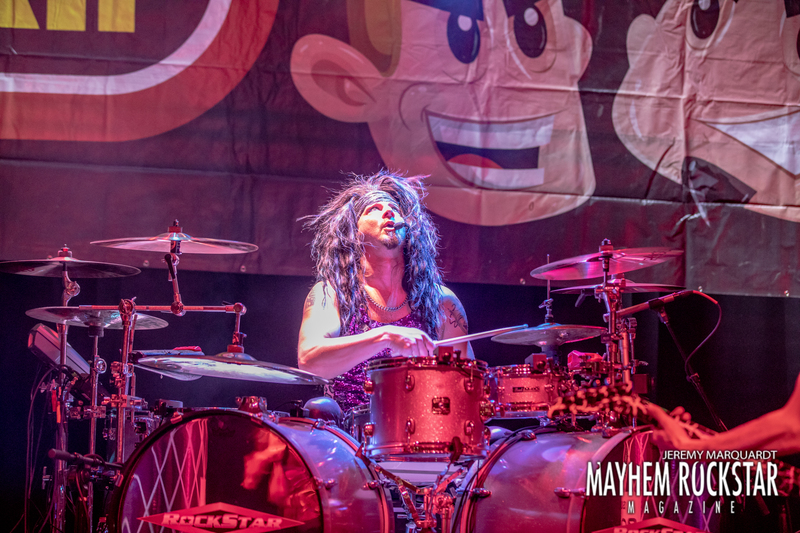 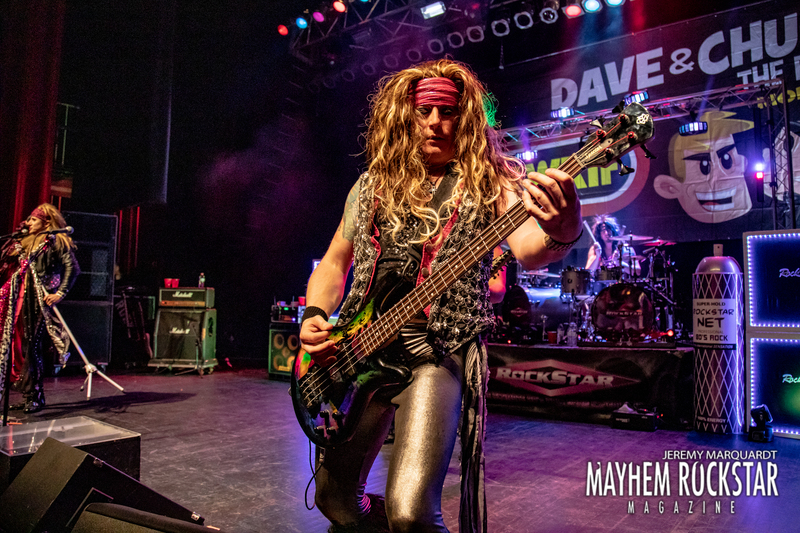 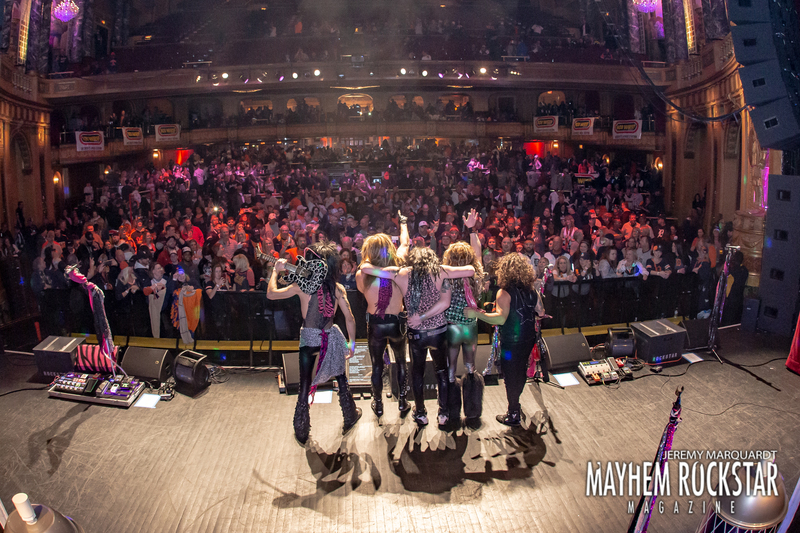 With the Detroit Tigers opening day finally upon us, so is it time for the annual opening day party Detroit’s 101 WRIF puts on at the Fillmore Detroit with the band ROCKSTAR. 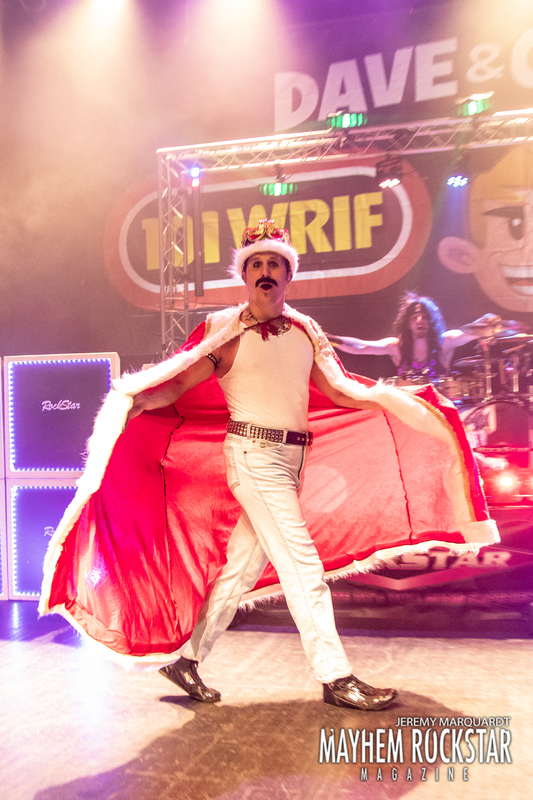 ROCKSTAR never disappoints. 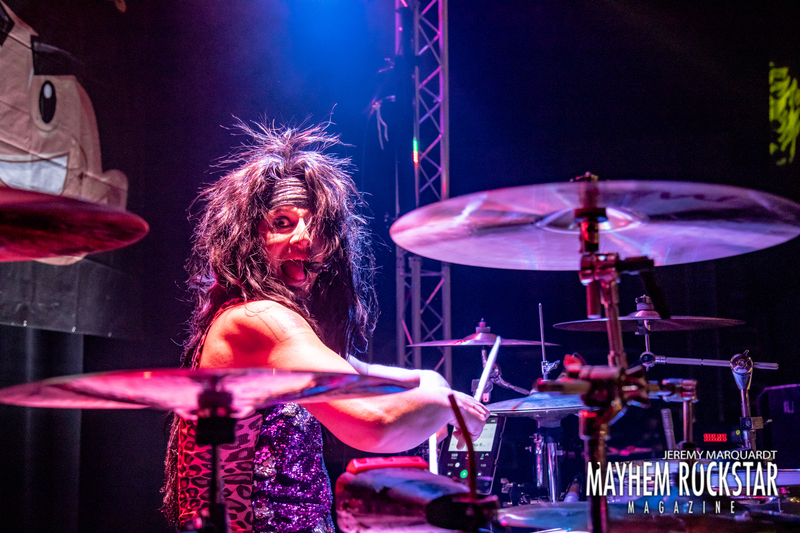 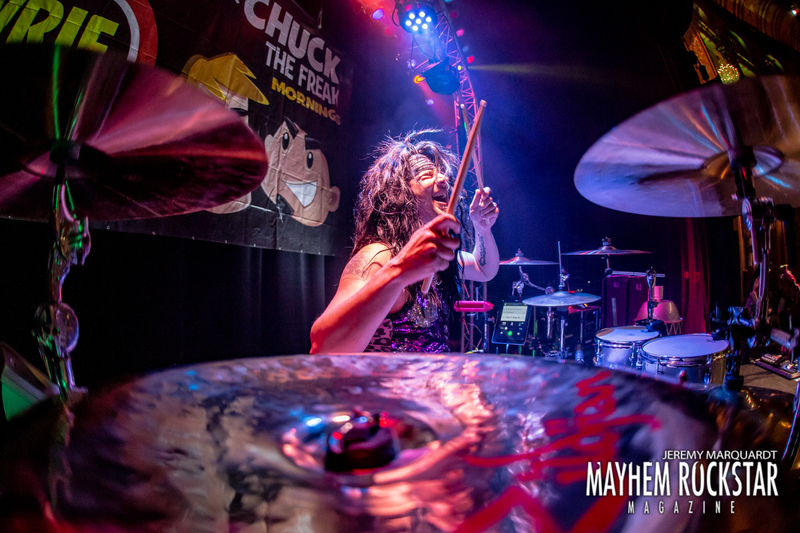 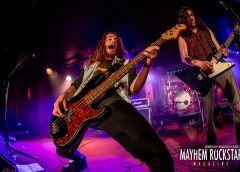 Playing hit after hit and nailing not only the sound, but the attitude! 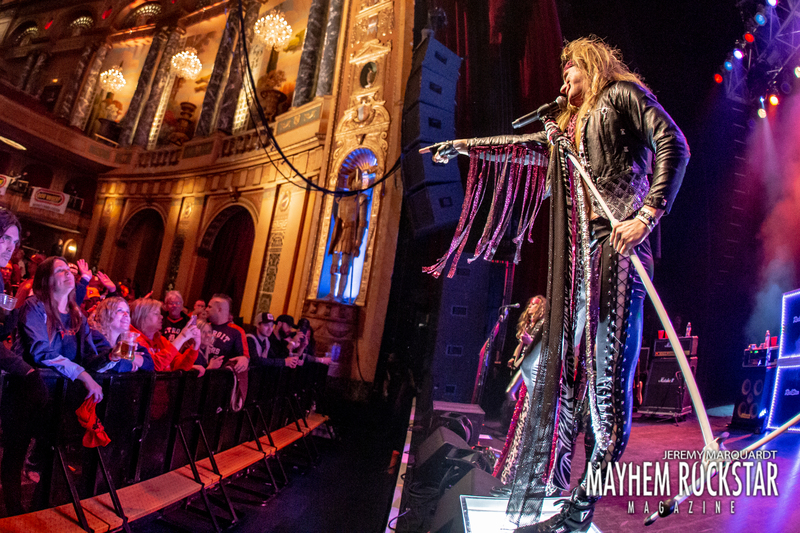 The near capacity crowd was singing along with every word. 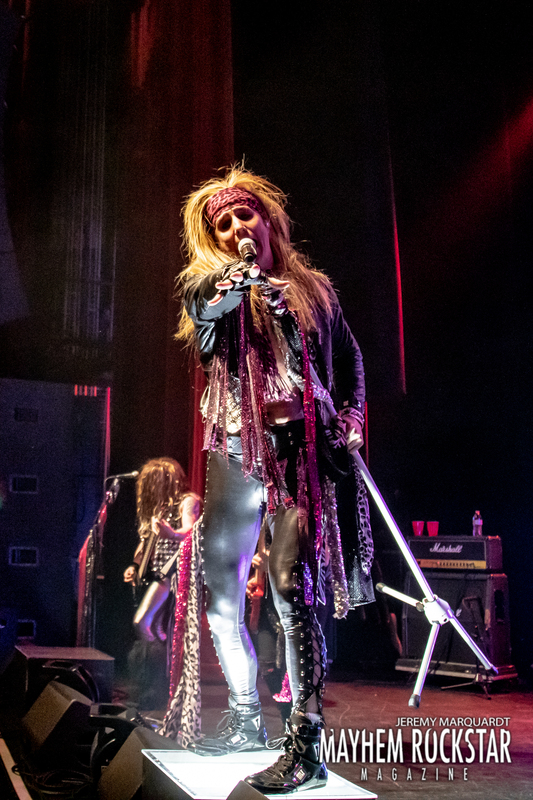 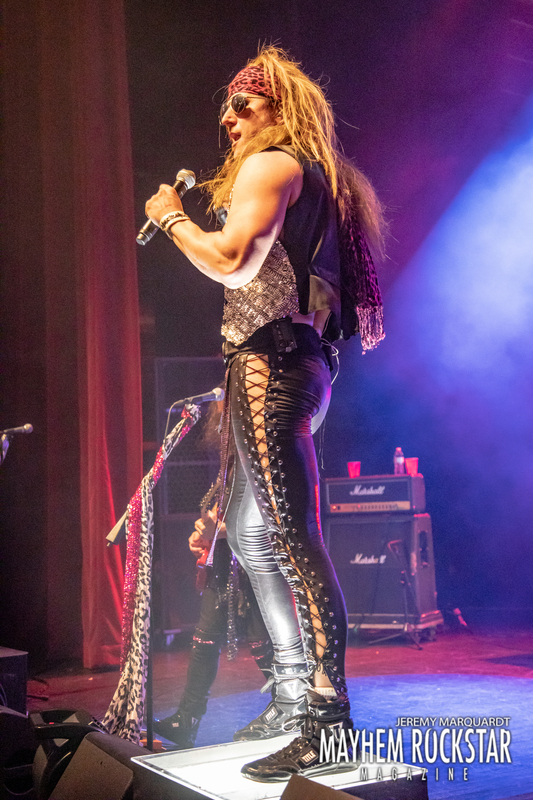 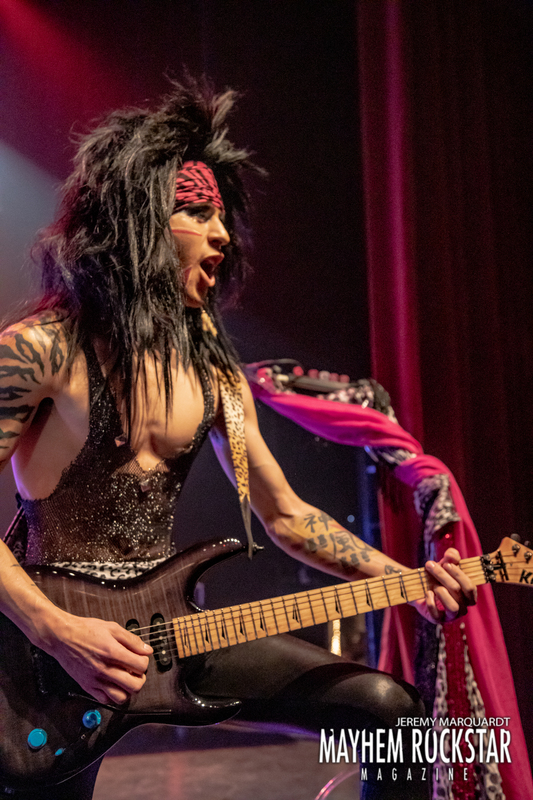 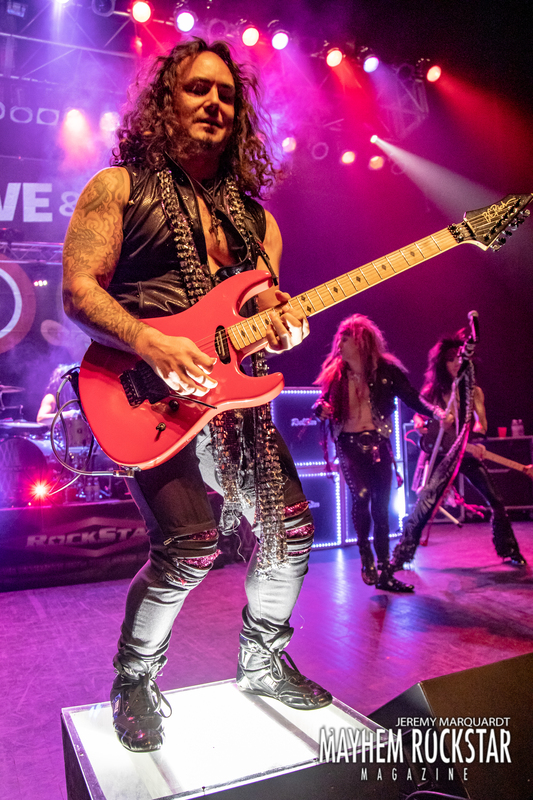 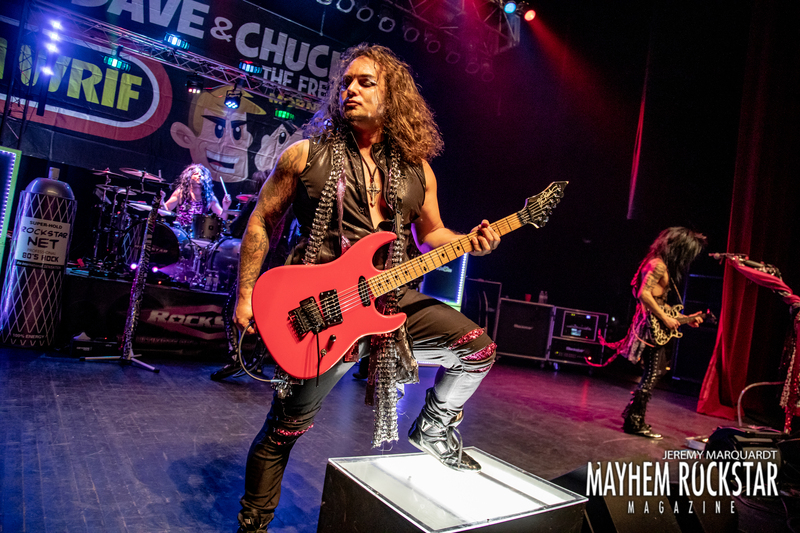 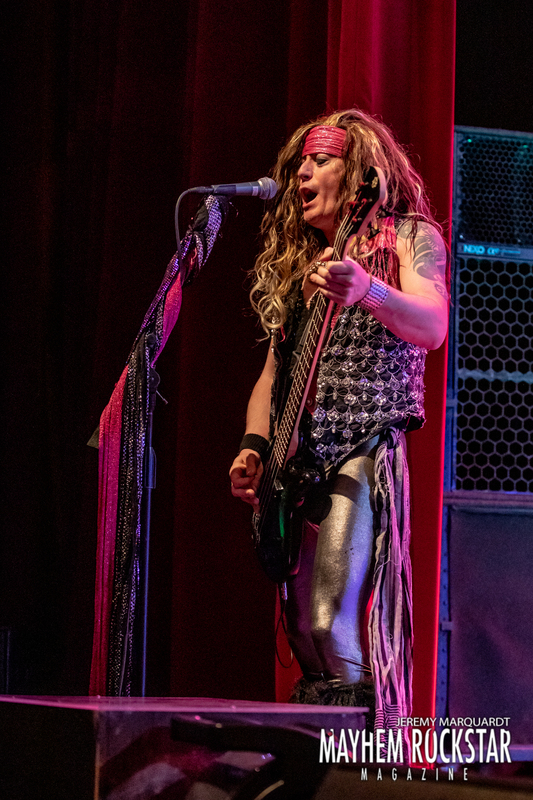 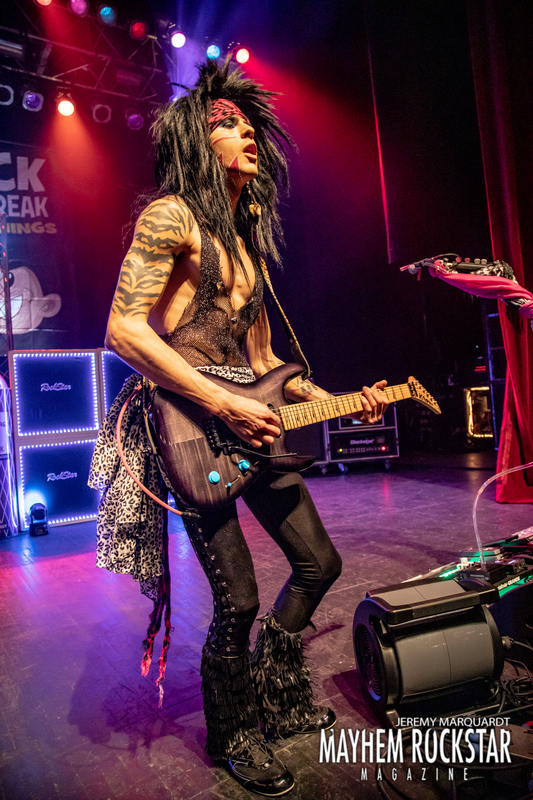 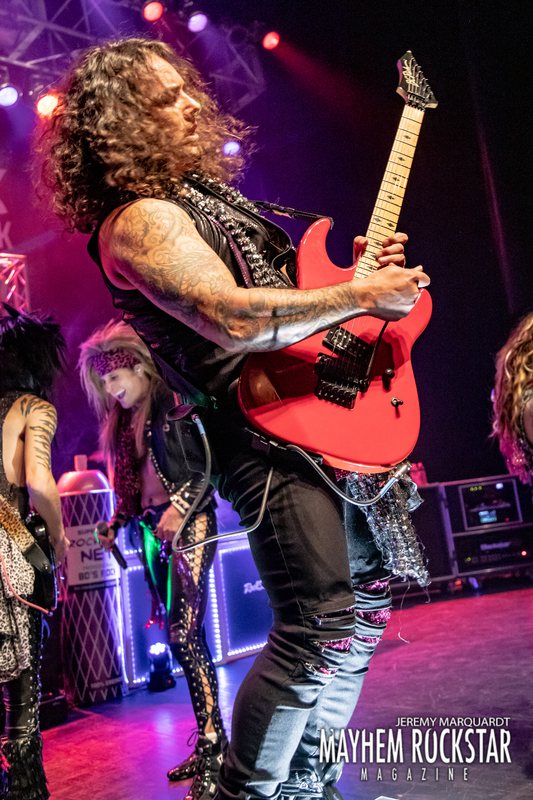 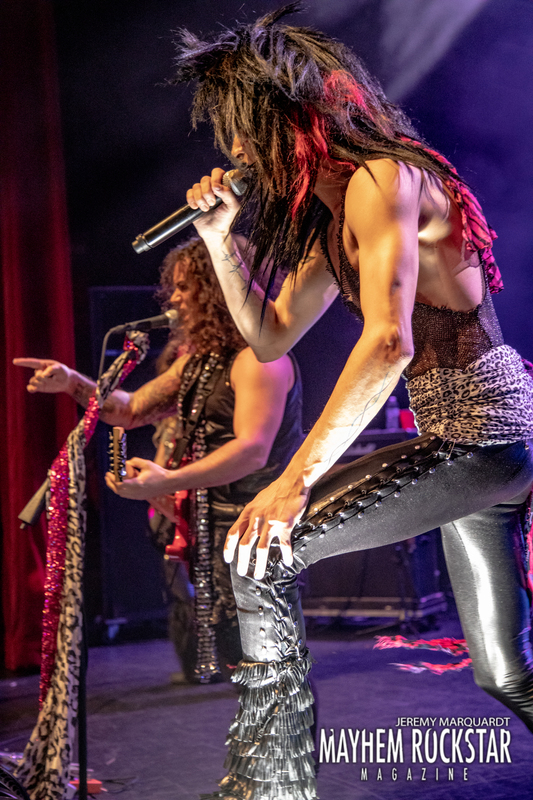 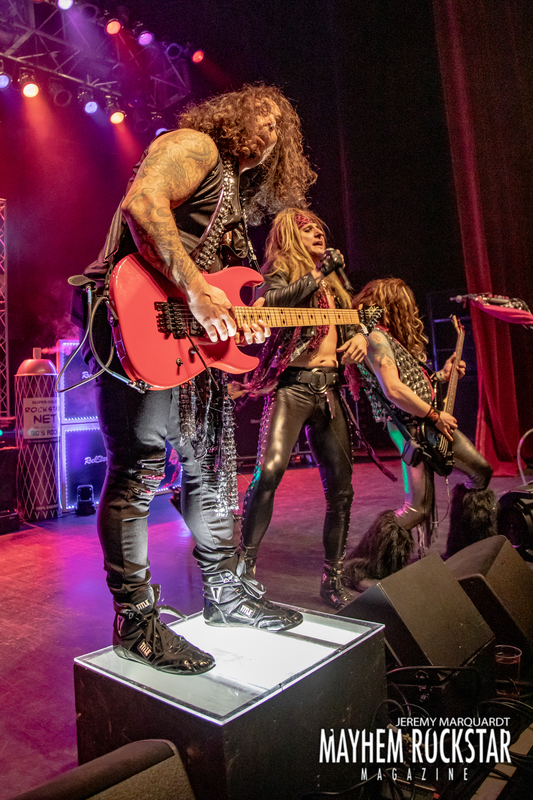 Singer Ken Lewandowski vanished for a short bit while guitarist Jamie Trevino took over vocal duties on “Jessie’s Girl”. 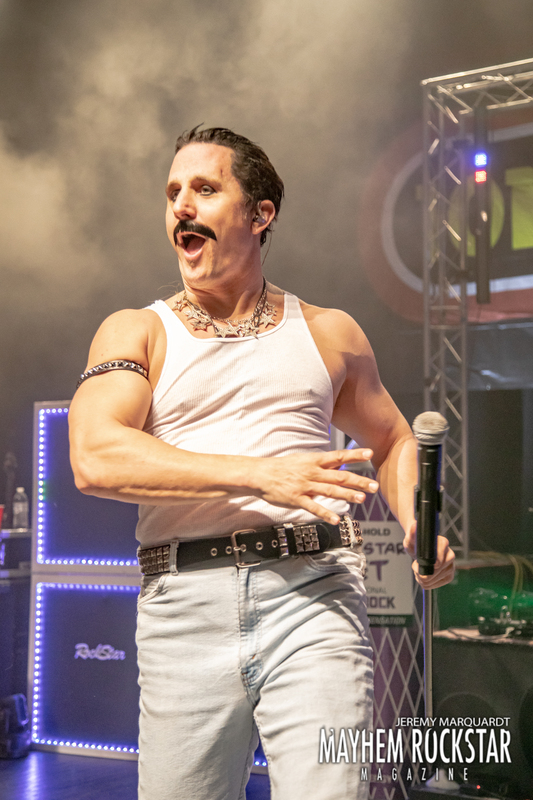 Then a spot on “Freddie Mercury” came out and performed a medley of QUEEN hits followed by “Brian Johnson” coming out to kill some ACDC complete with a massive bell. 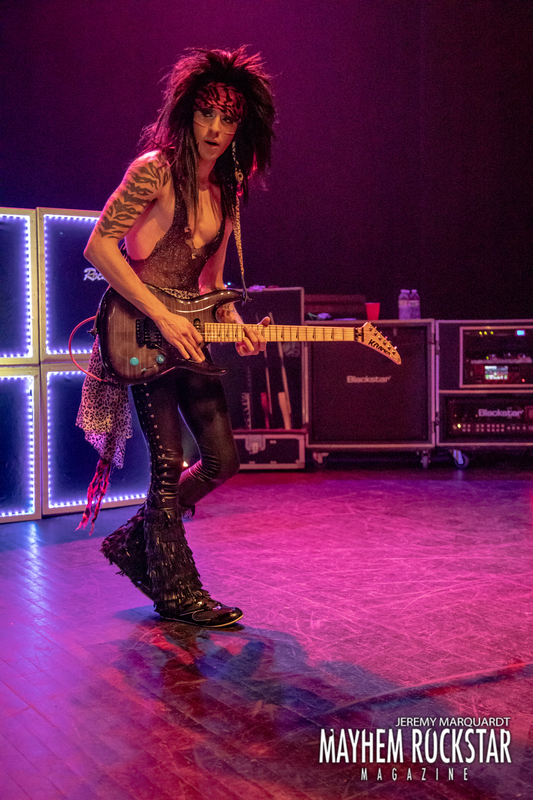 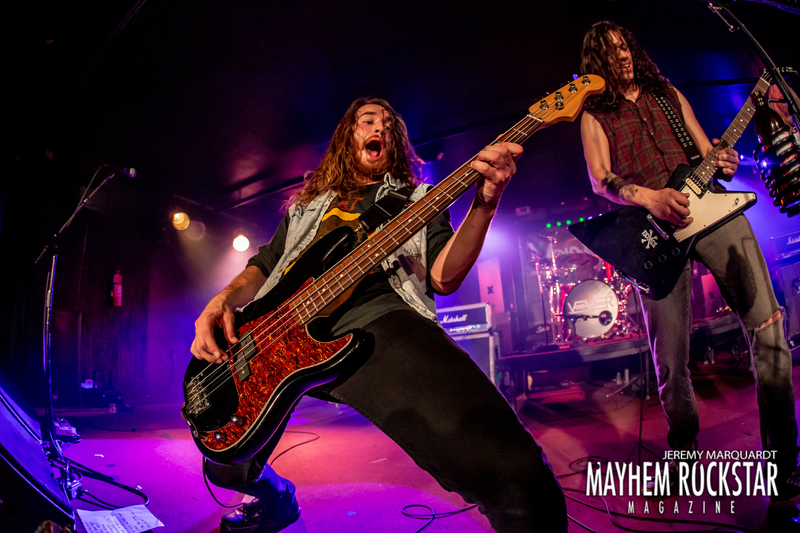 Guitarist Steve Lane shredded off every note while drummer G and bassist Mike Scott kept crowd moving. 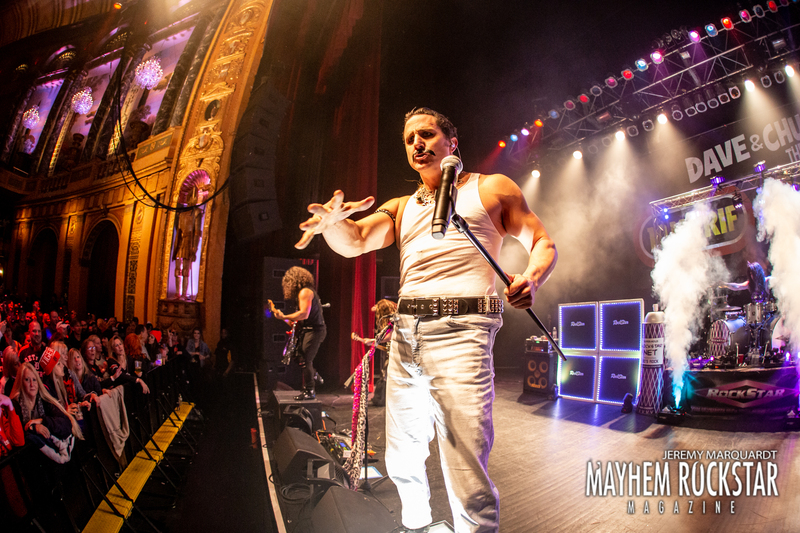 The perfect storm of musicianship and presentation. 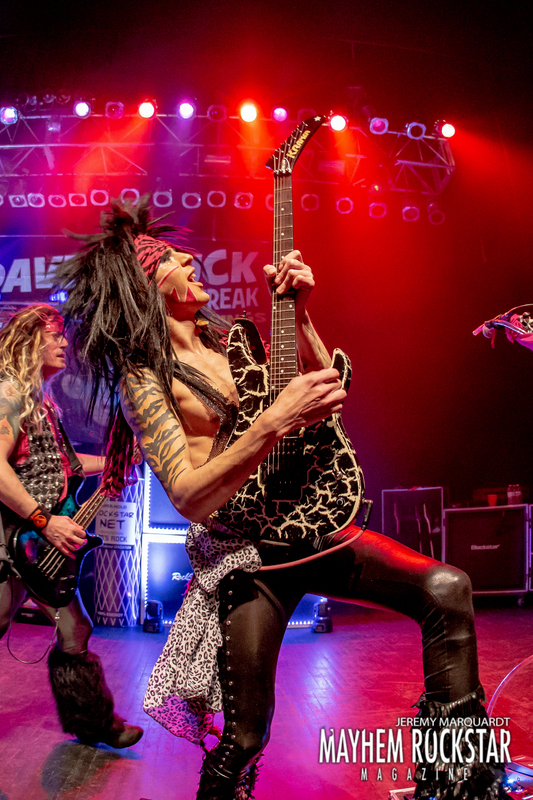 Catch ROCKSTAR in a city near you!